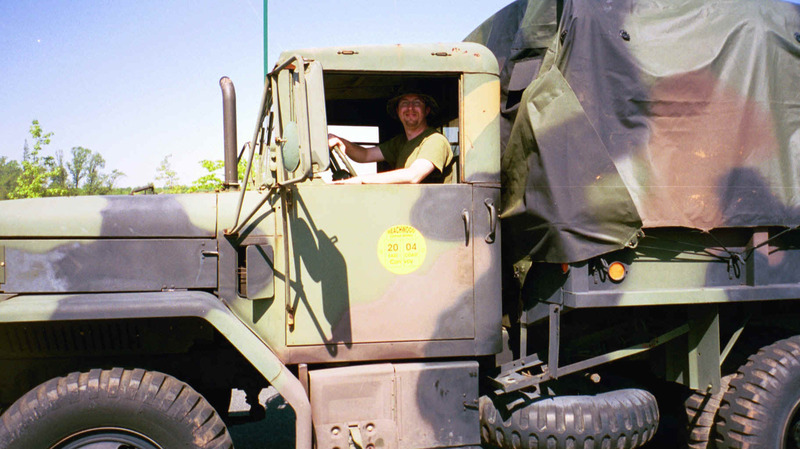 1 Shot of me (Cabell Garbee) leaning against the front of my M35A2C taken in the grassy vendor area at Ripken Stadium. 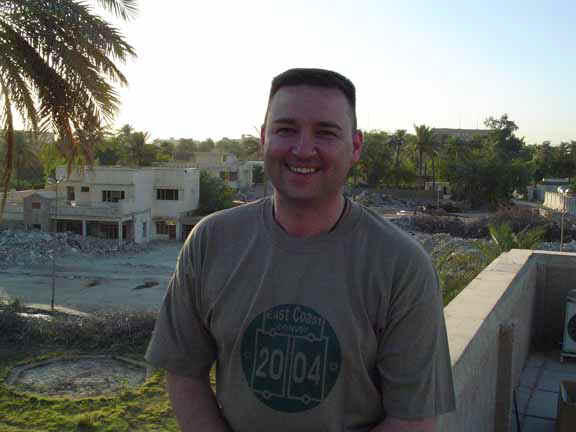 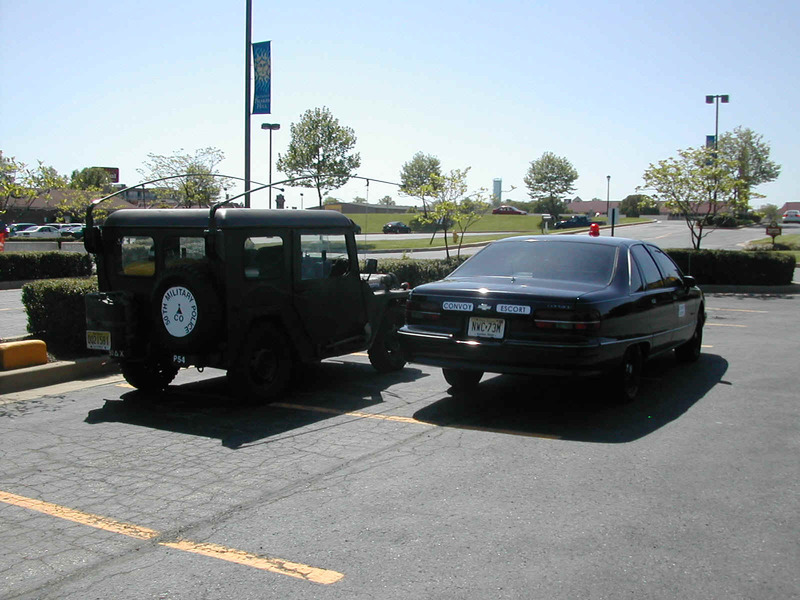 Photos 1 and 2 where taken by Kevin who is a member of the BigElectric M37 forum. 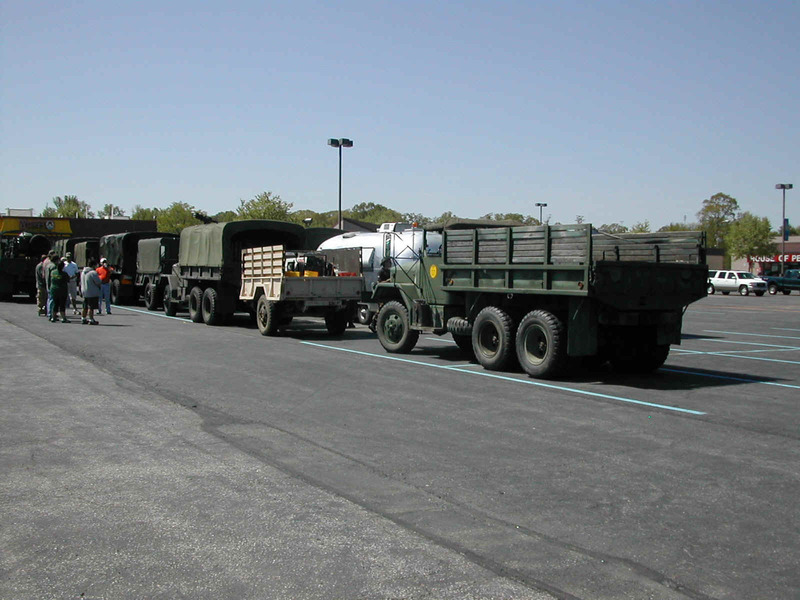 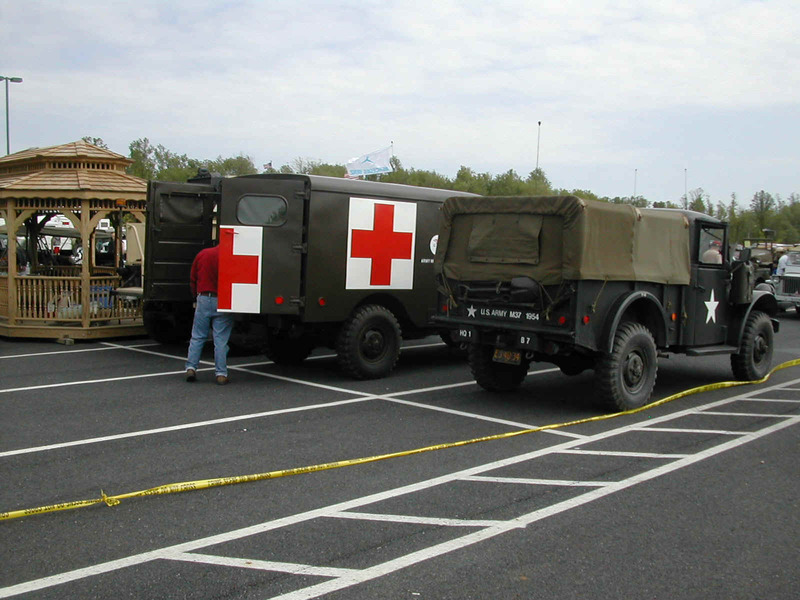 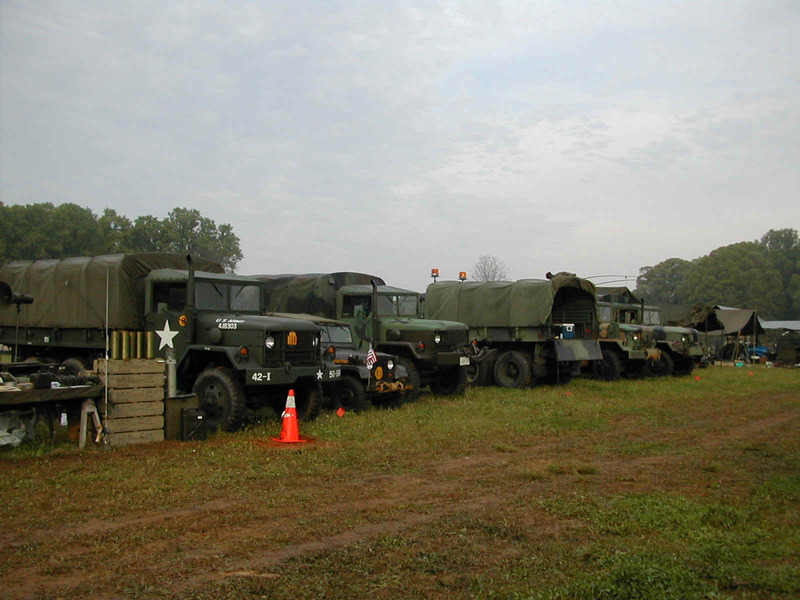 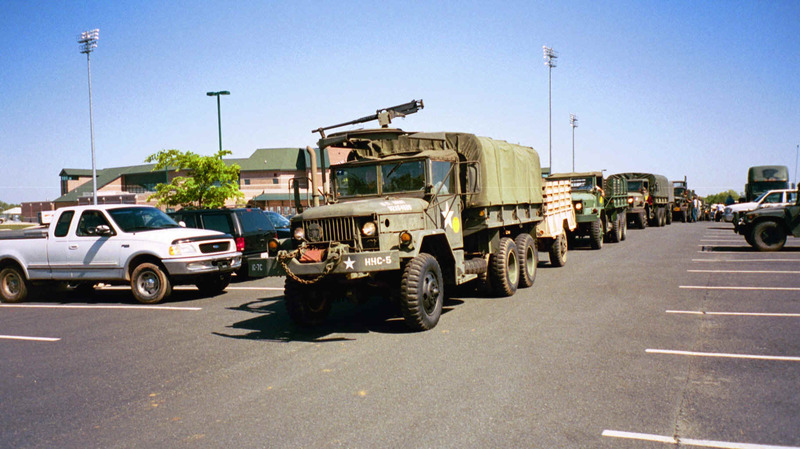 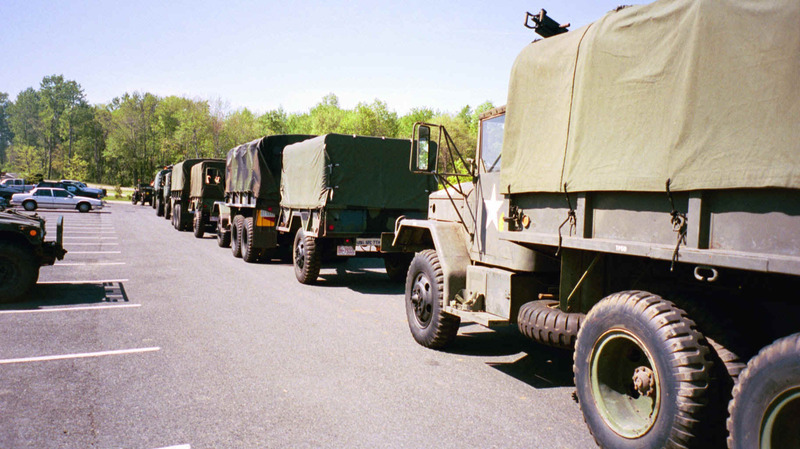 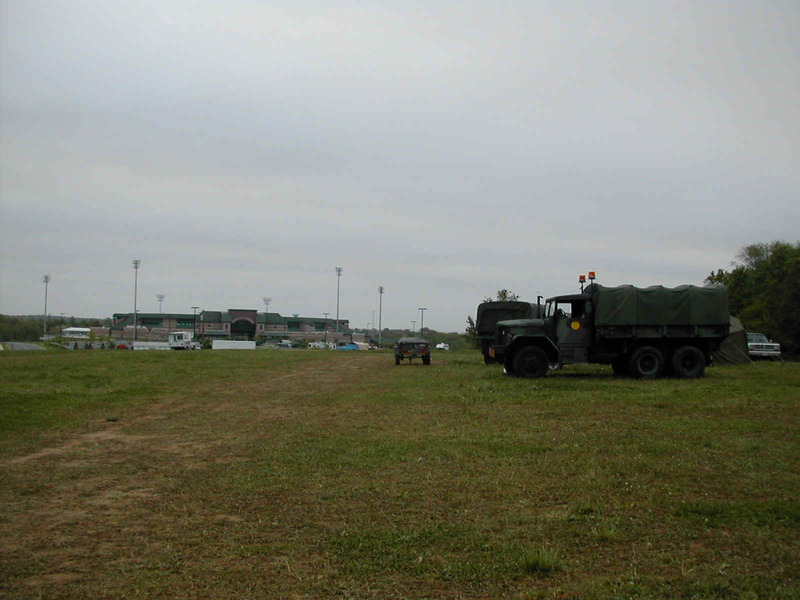 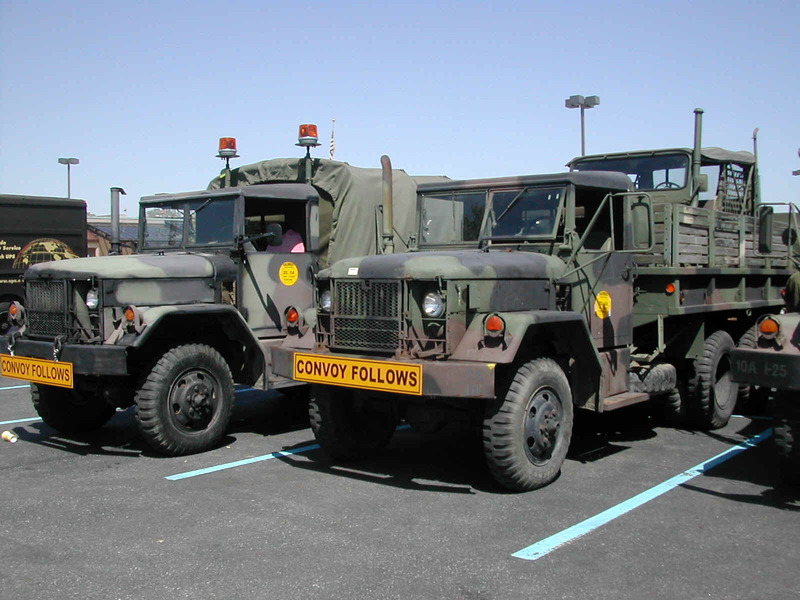 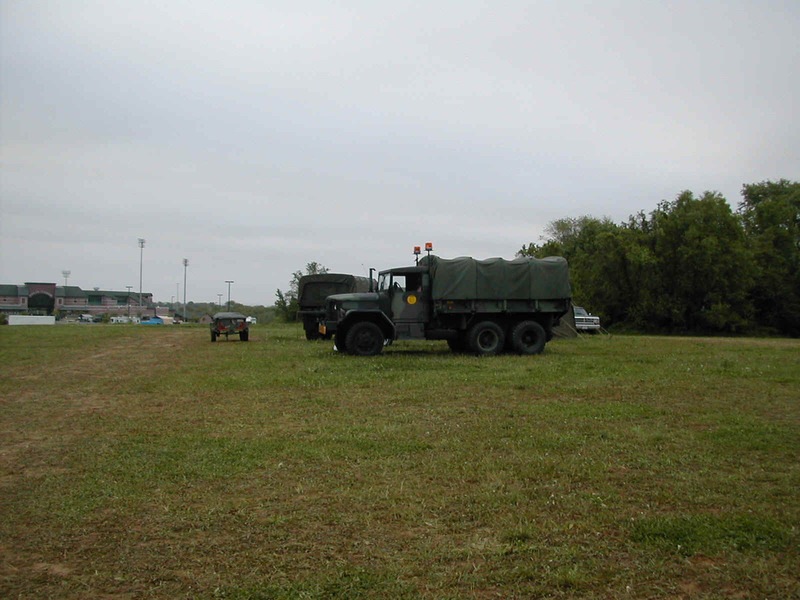 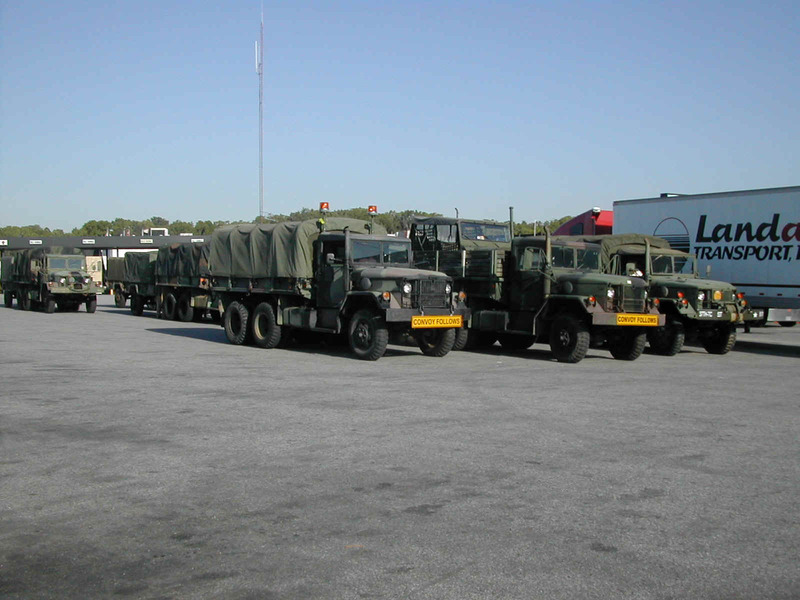 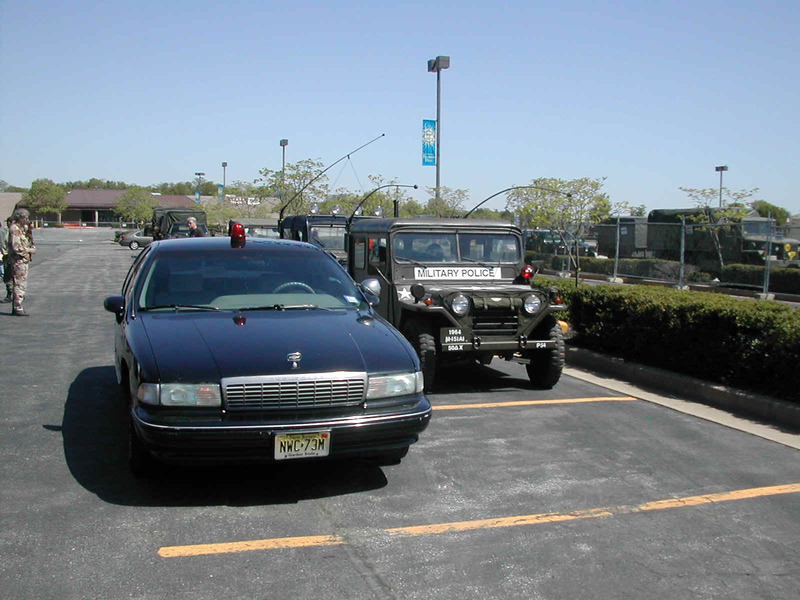 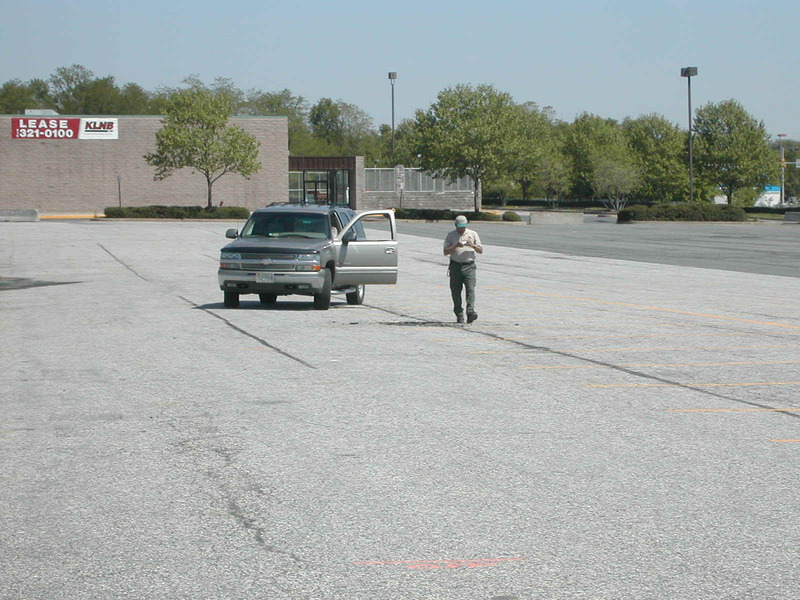 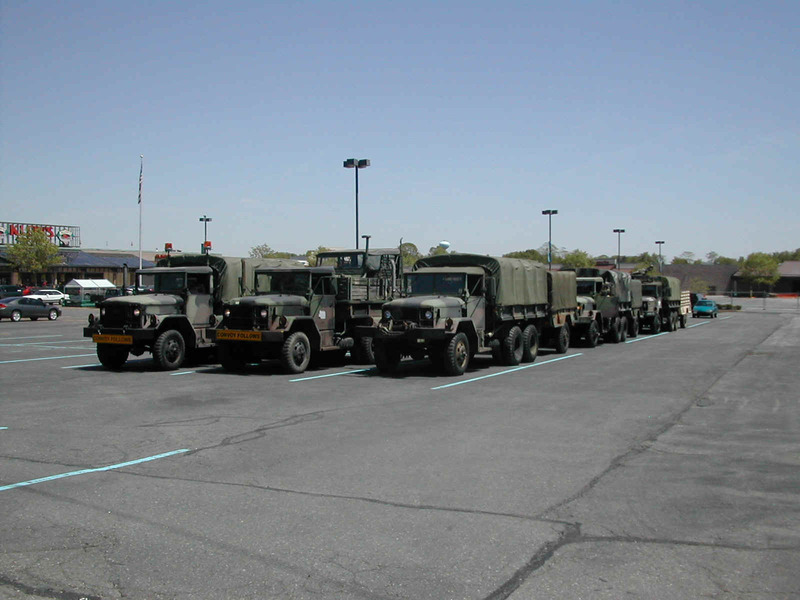 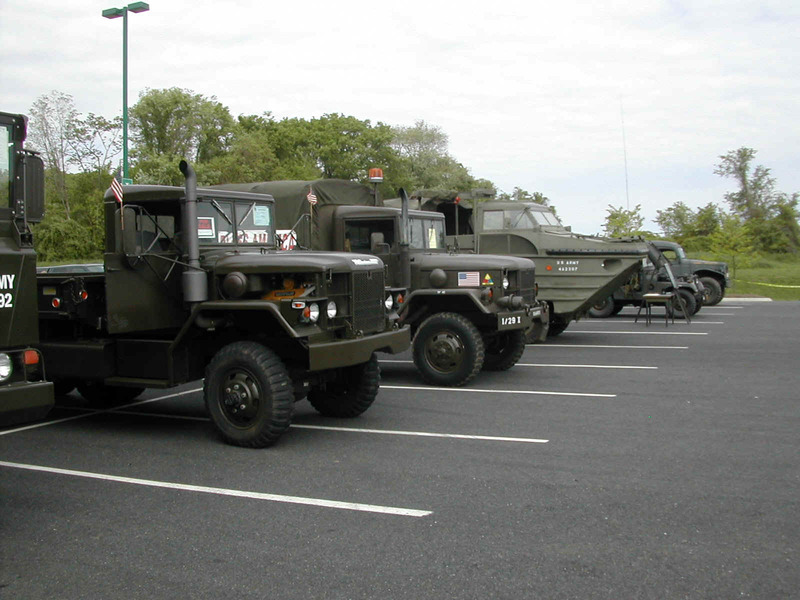 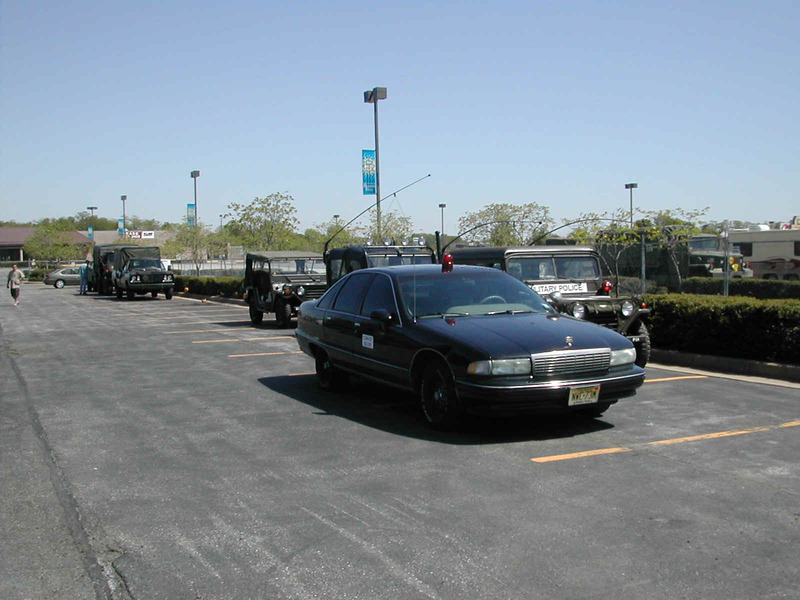 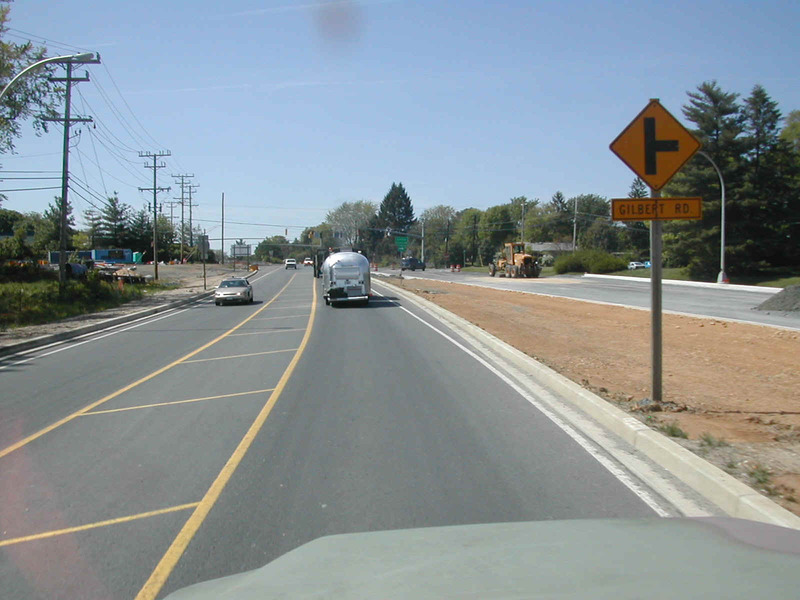 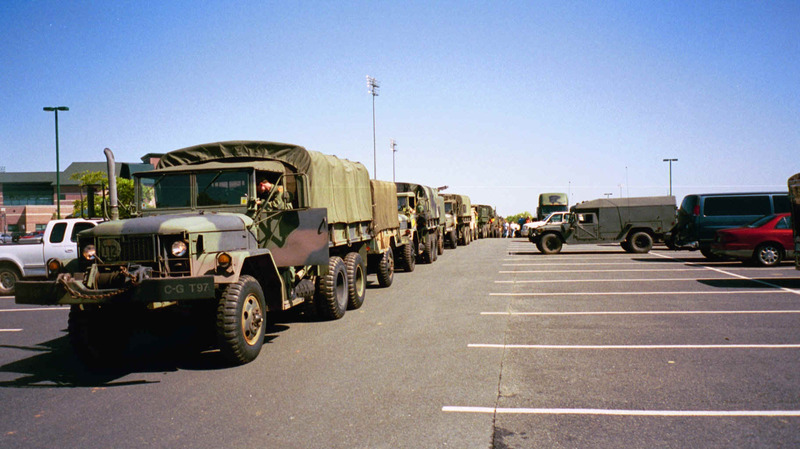 3-8 Photos of the 2004 East Coast Convoy's arrival in the paved section of the 2004 East Coast Rally at Ripken Stadium in Aberdeen. 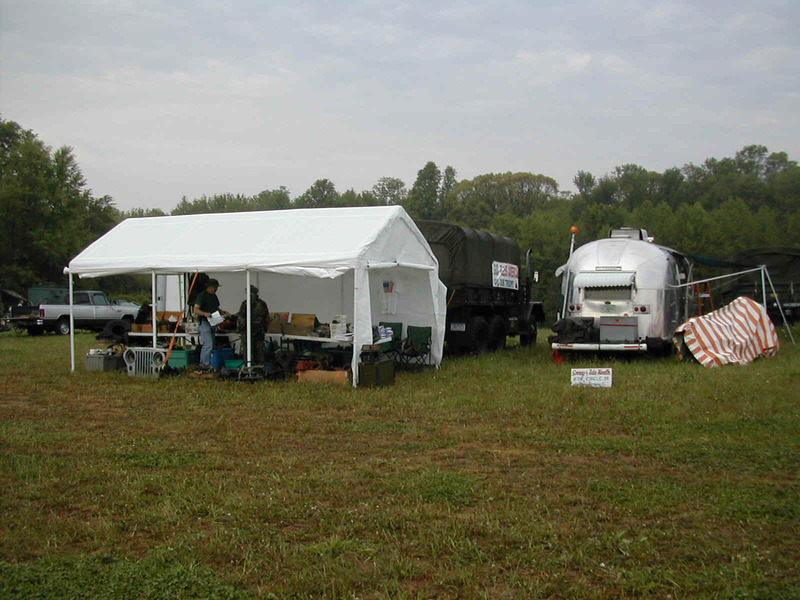 Convoy entered the rally site and made a big loop around the paved vendor and display area before most participants headed up the hill to the grassy vendor and free camping areas. 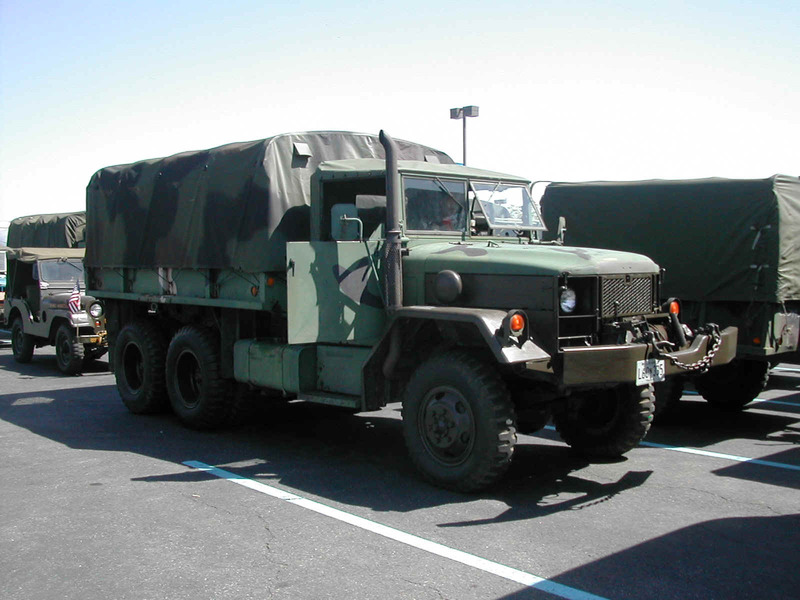 9, 10 Cabell Garbee's 1984 AM General M35A2C parked in the yard in Raleigh, NC ready to head north for the Convoy and Rally. 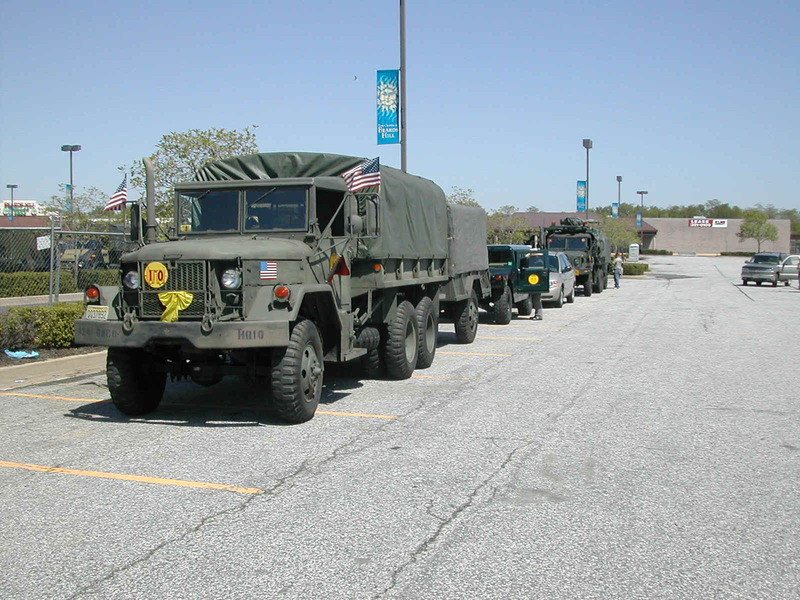 12, 13 Yellow Serial members lined up at the Golden Coral parking lot in Aberdeen waiting for the arrival of the rest of the East Coast Convoy. 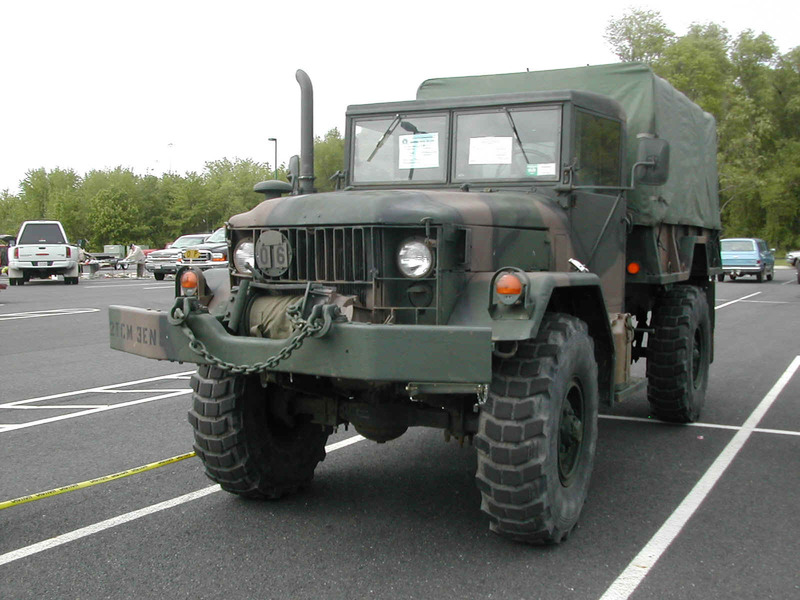 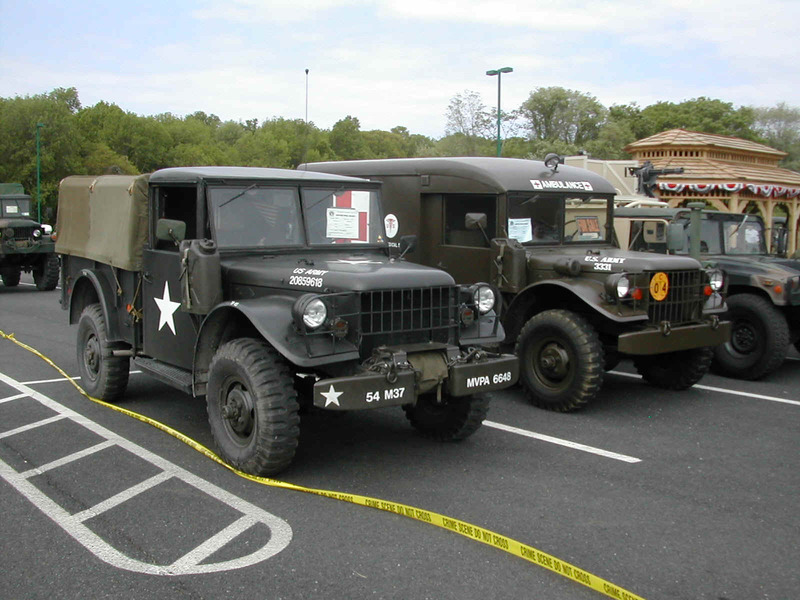 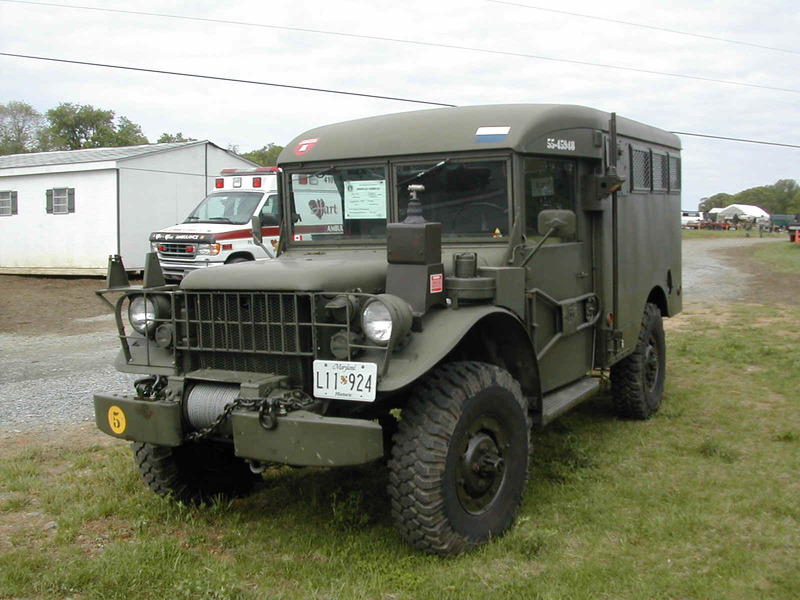 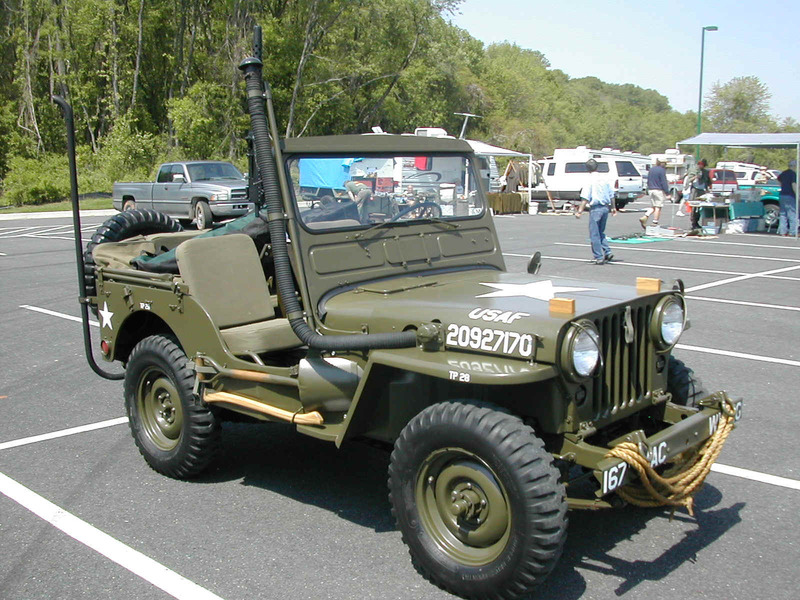 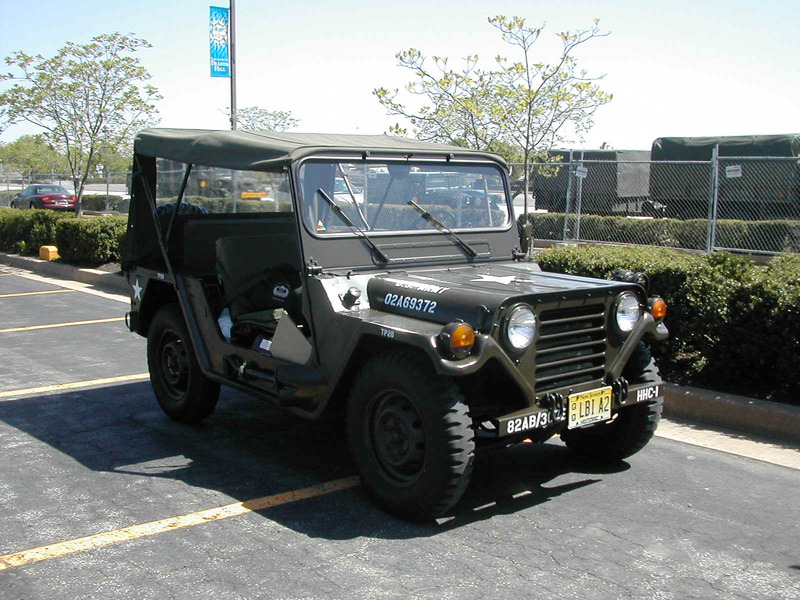 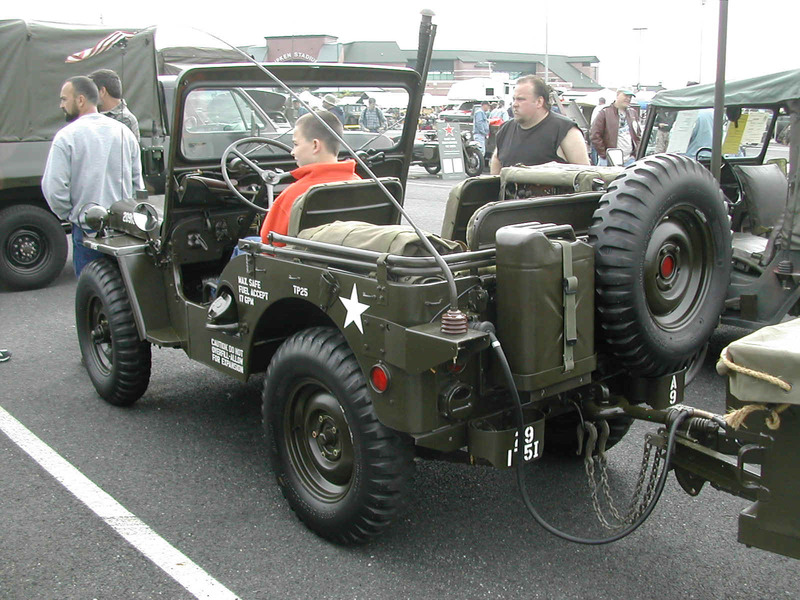 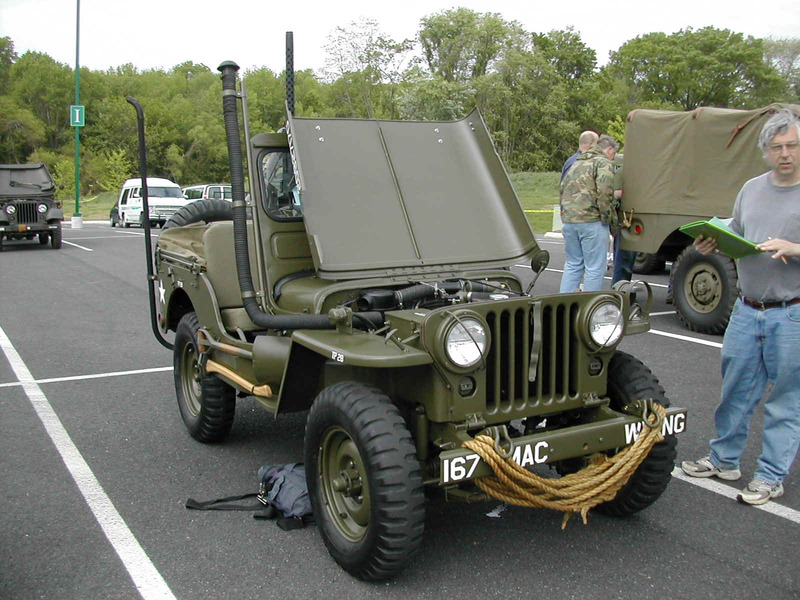 21, 32 1968 Kaiser Jeep M35a2 w/w jointly owned by Kenny Reed and his father Dave Reed or Elkton, MD own. 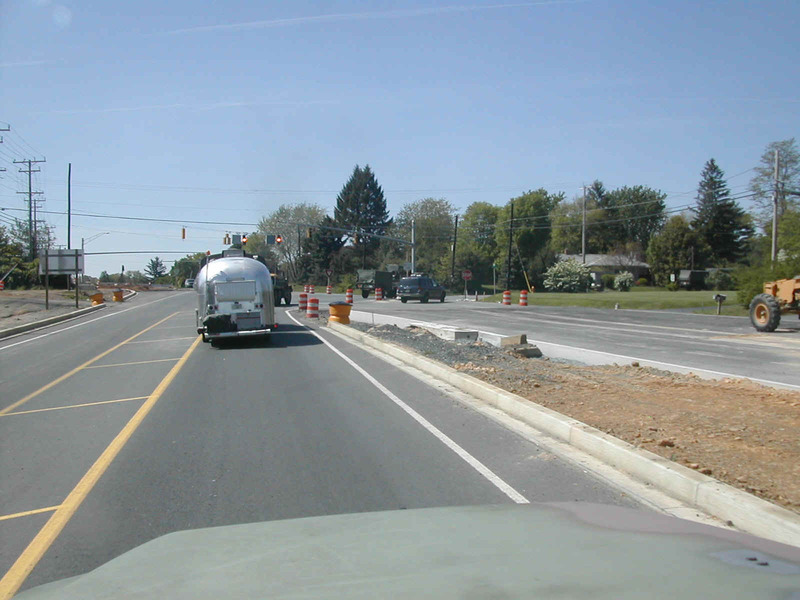 42, 43 View out the front window of my truck at the rear of Sonny's rig (with the Airstream) on our way form the East Coast Convoy merge location at the Golden Corral to the East Coast Rally at Ripken Stadium. 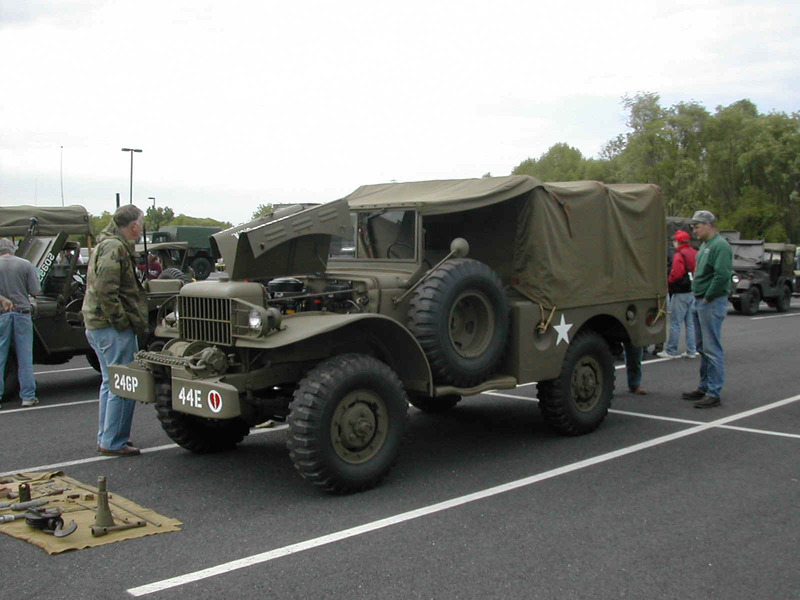 60-62 M152 that belongs to Denis Mengele, treasurer of the WACBGMVT, the club that organizes and hosts the rally. 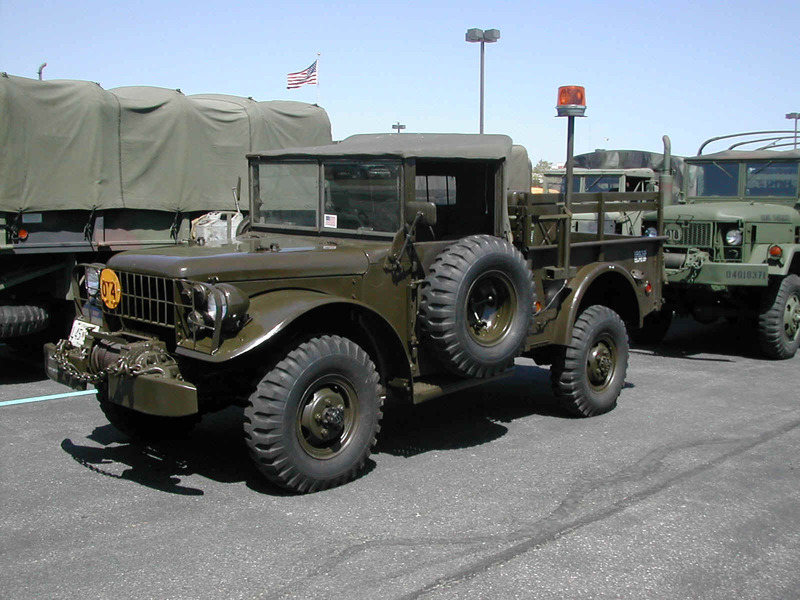 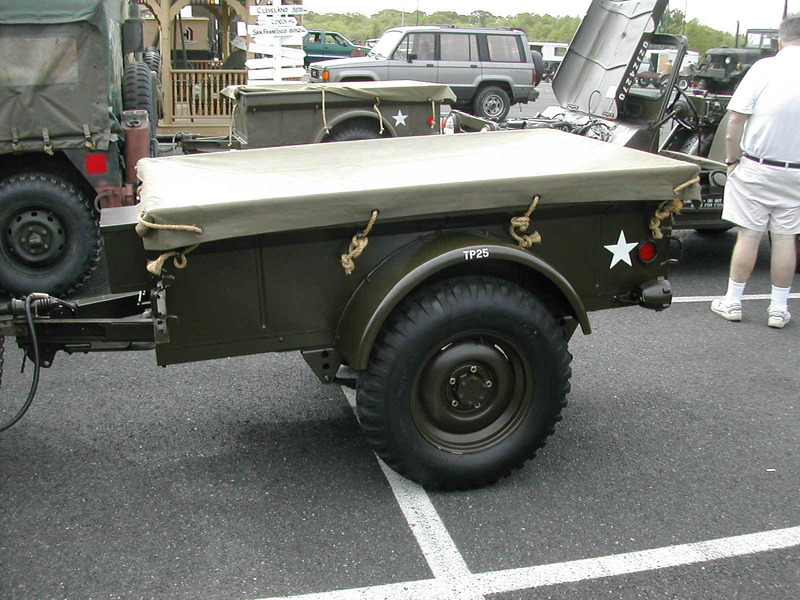 68-72 Harold Frazee of Manahawkin, NJ's 1952 M38 with a 1951 M100 trailer. 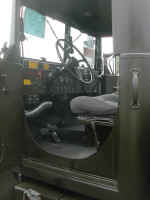 They have both been restored by Harold over a period of a few years. 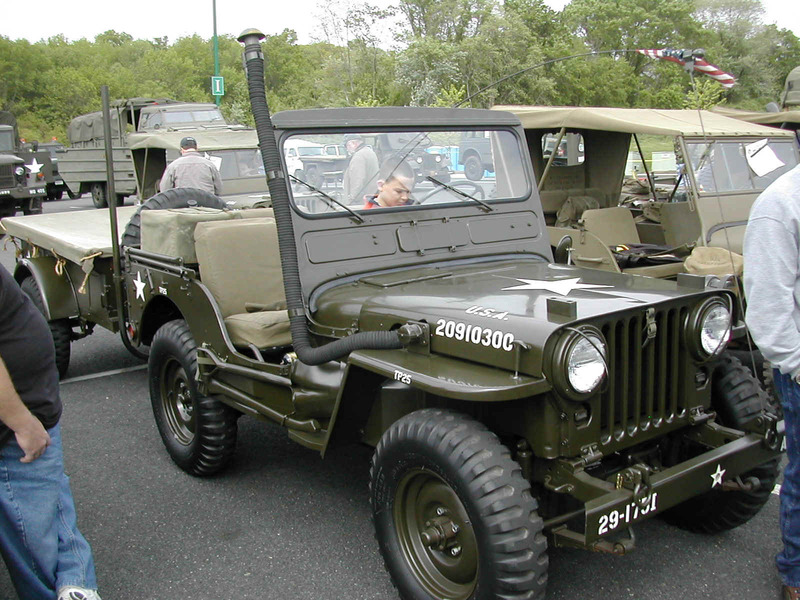 Both have won first in their class 3 years running at the show. 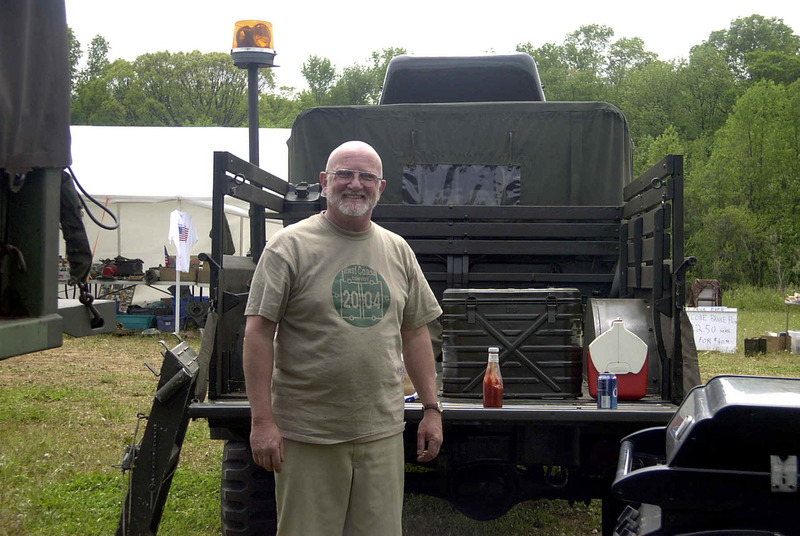 This year, Harold also won the peoples choice award. 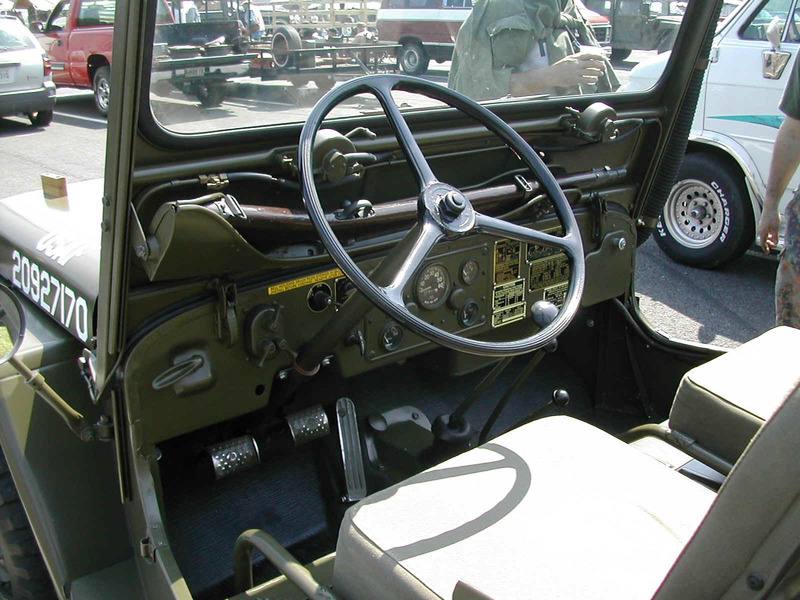 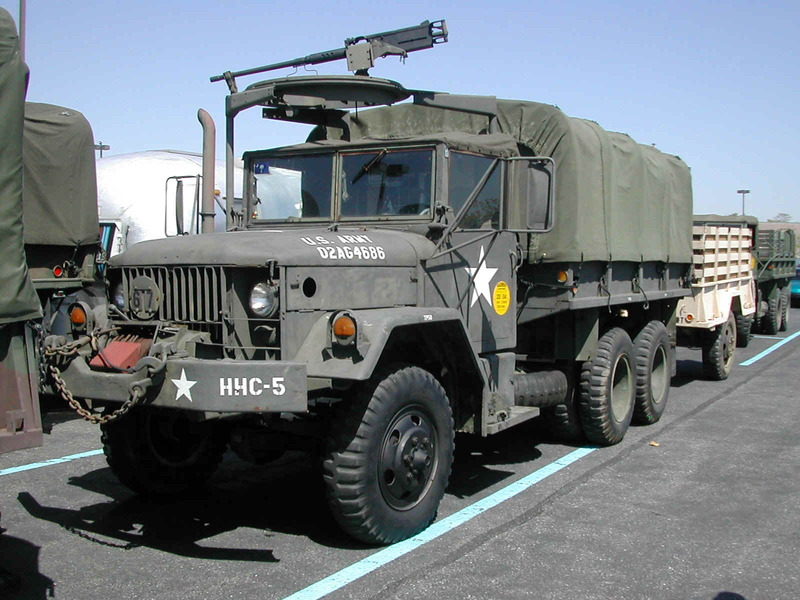 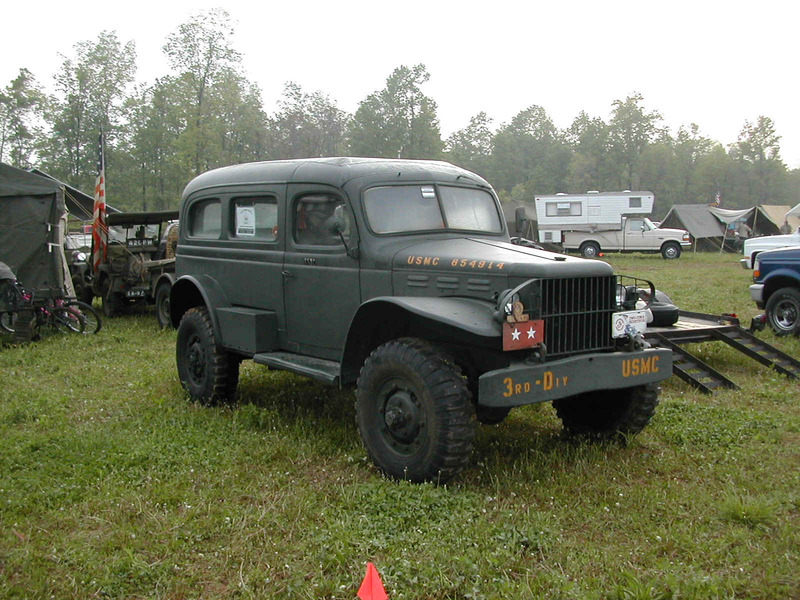 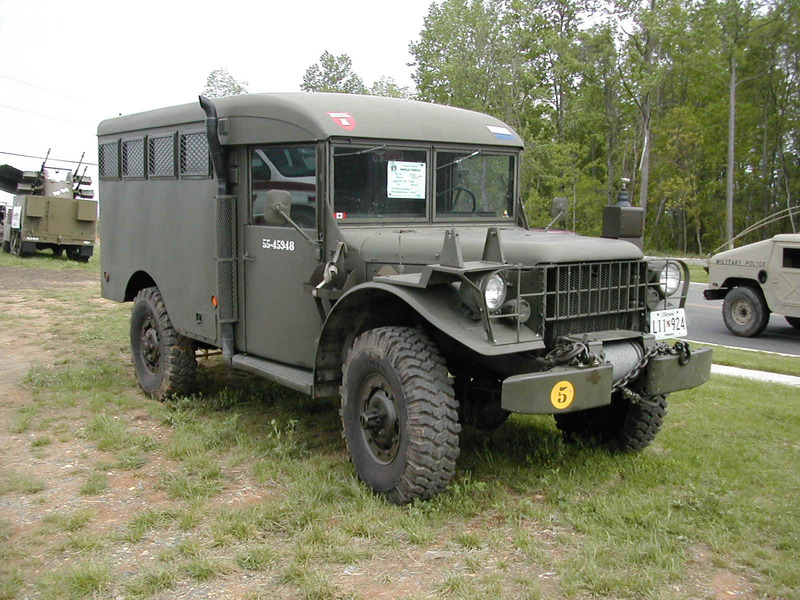 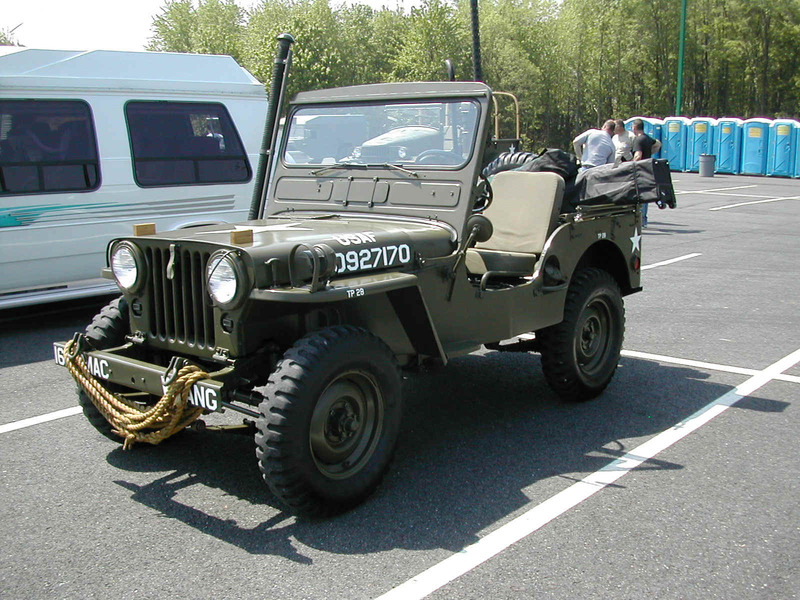 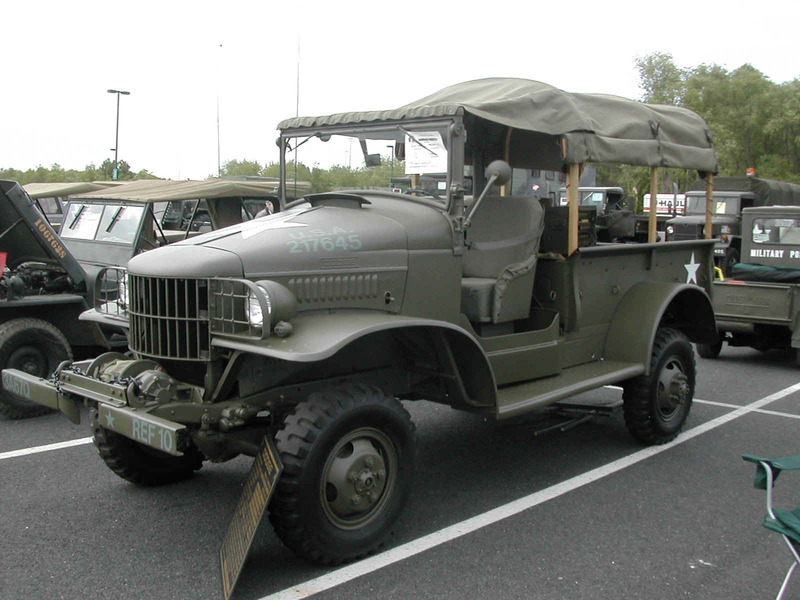 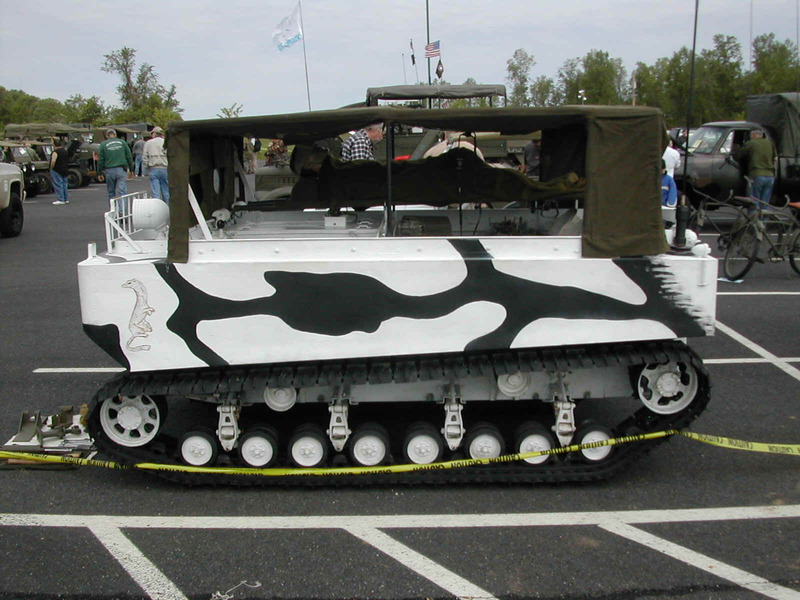 78-80 John Tennis' XM35A4 4x4 deuce that he construced from a M35A2. 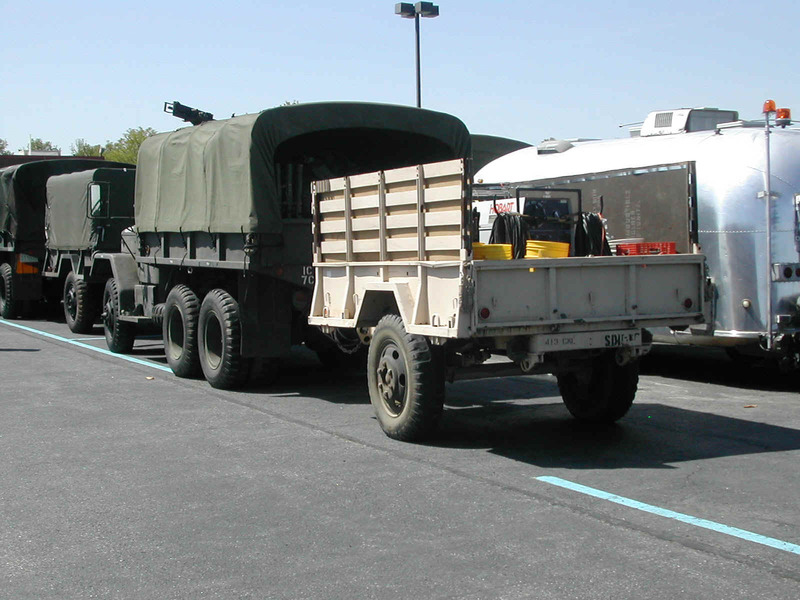 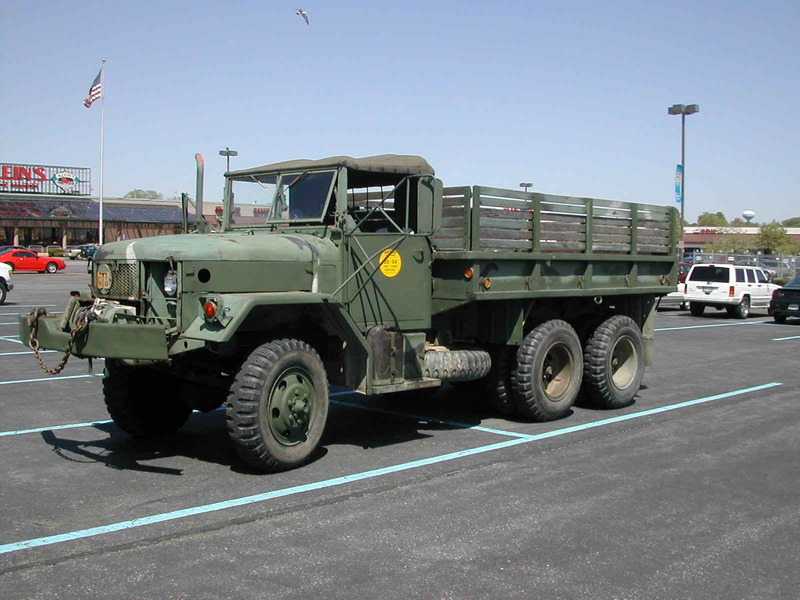 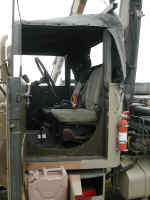 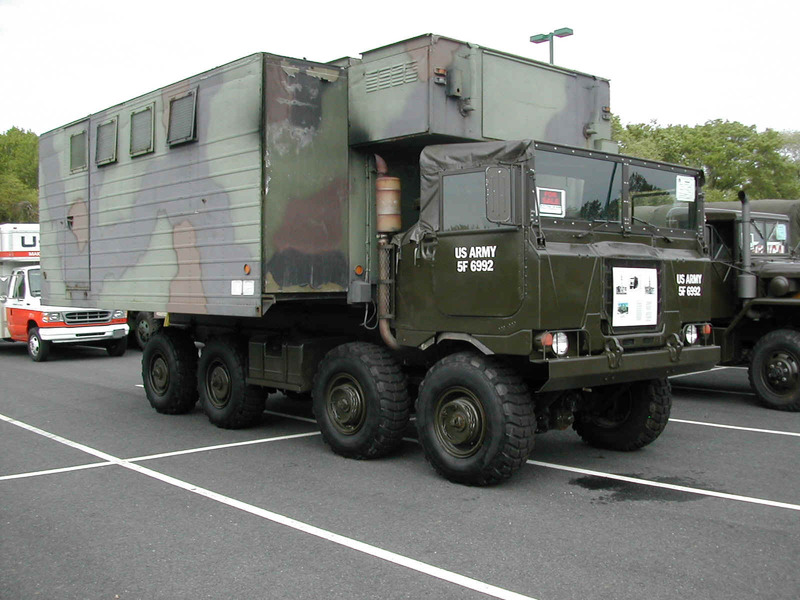 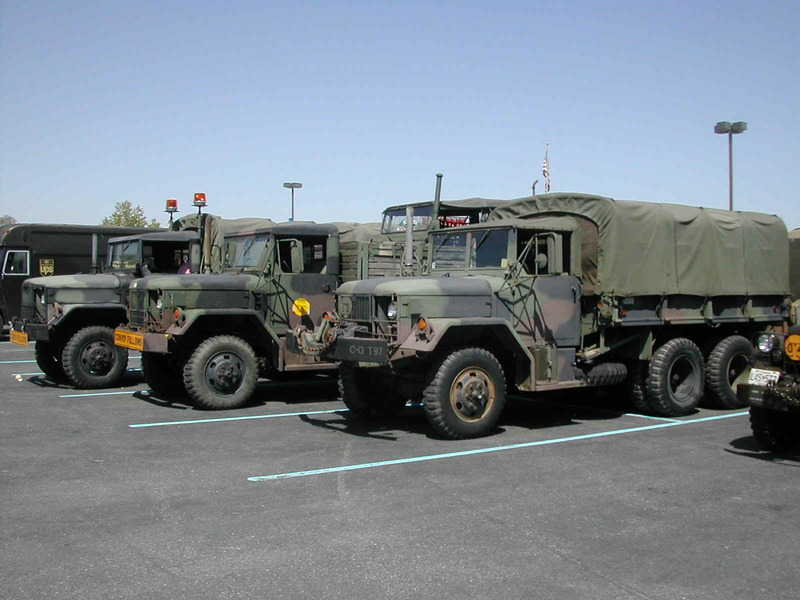 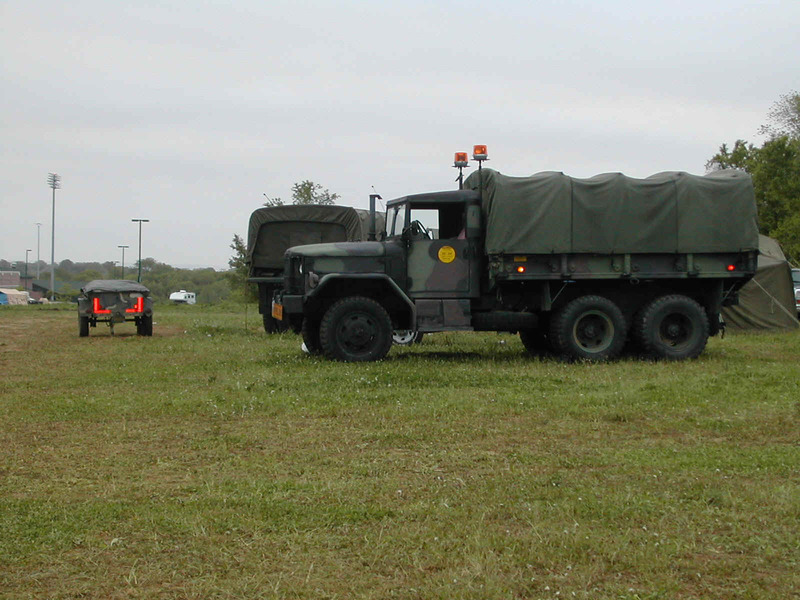 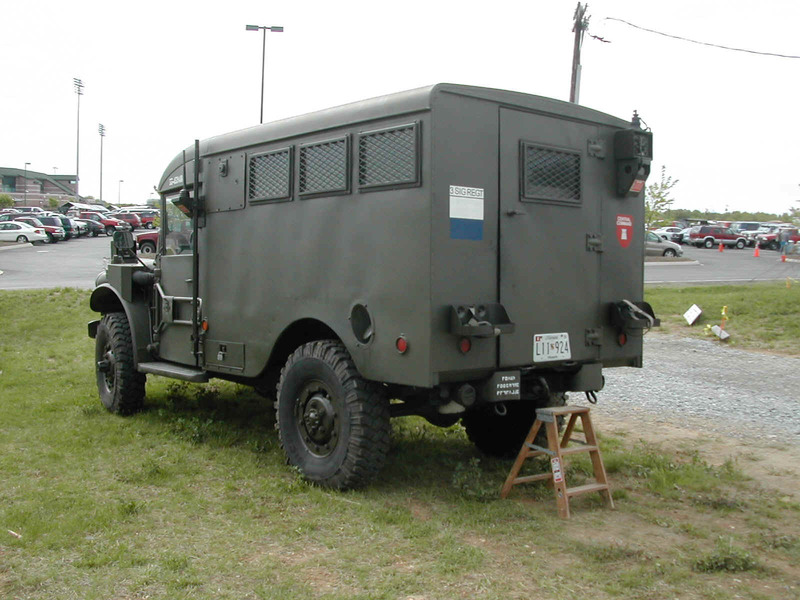 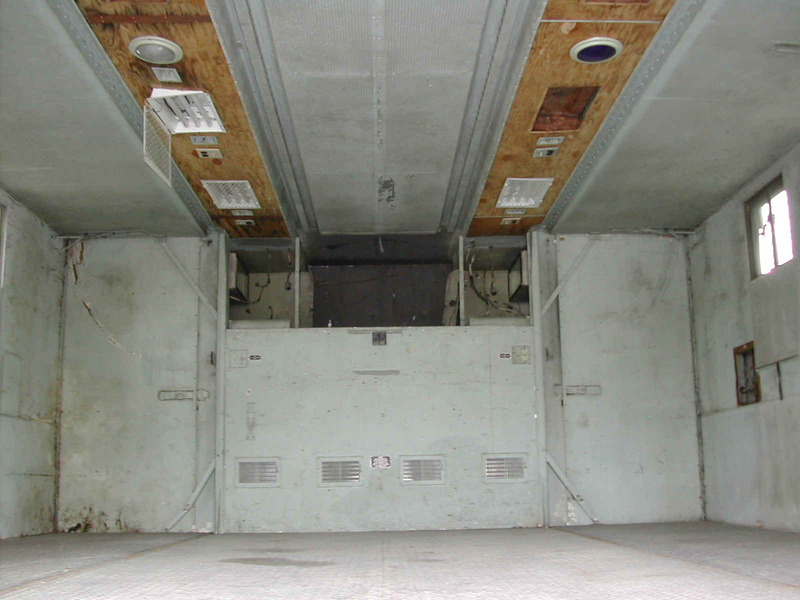 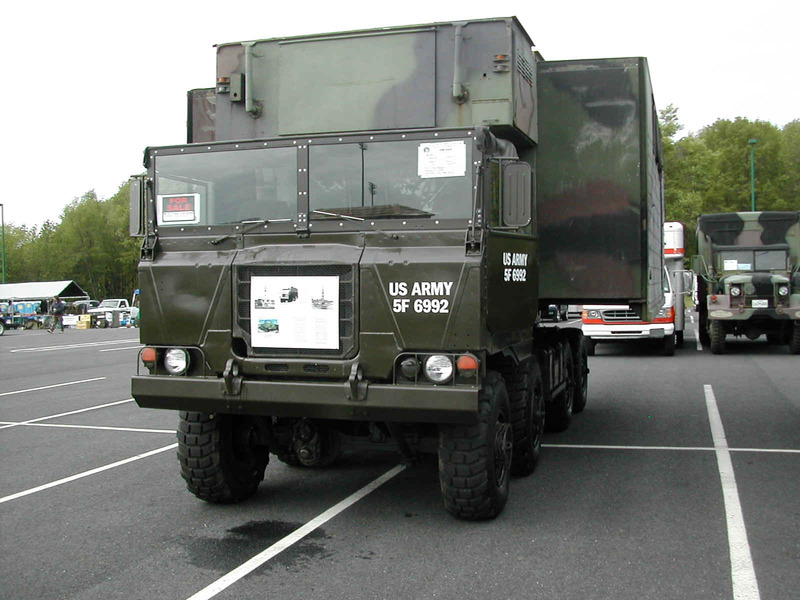 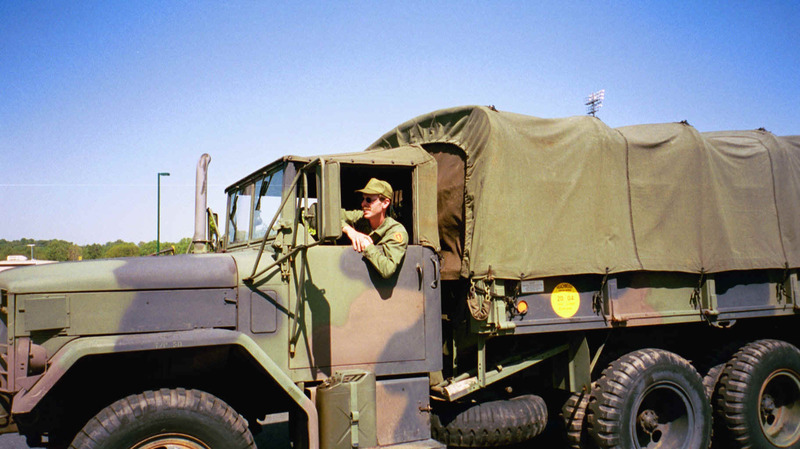 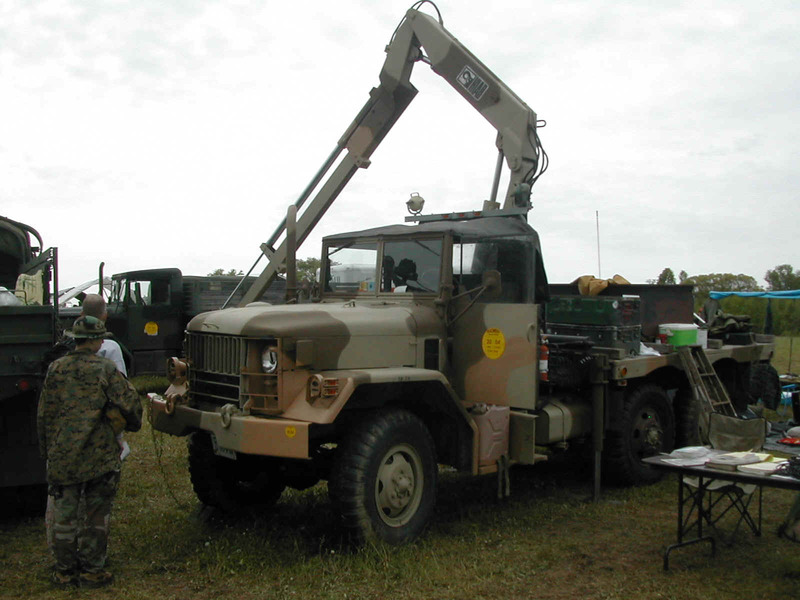 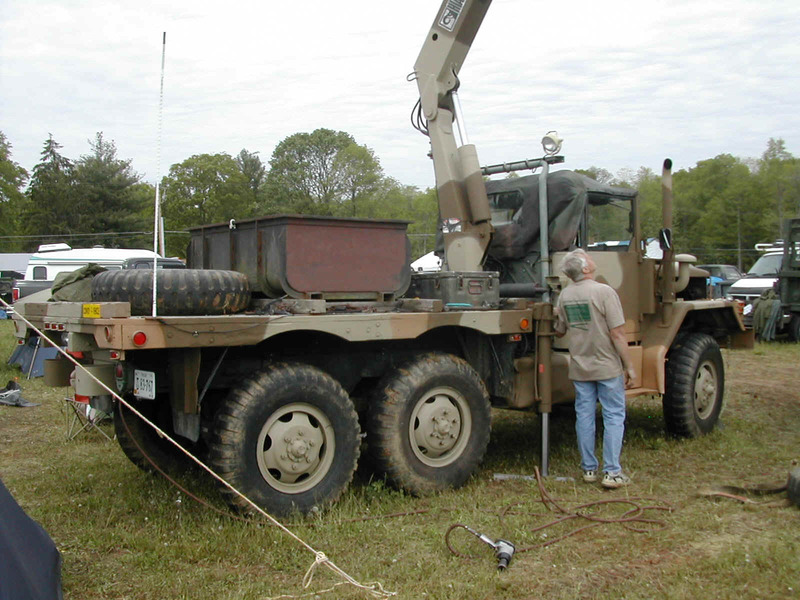 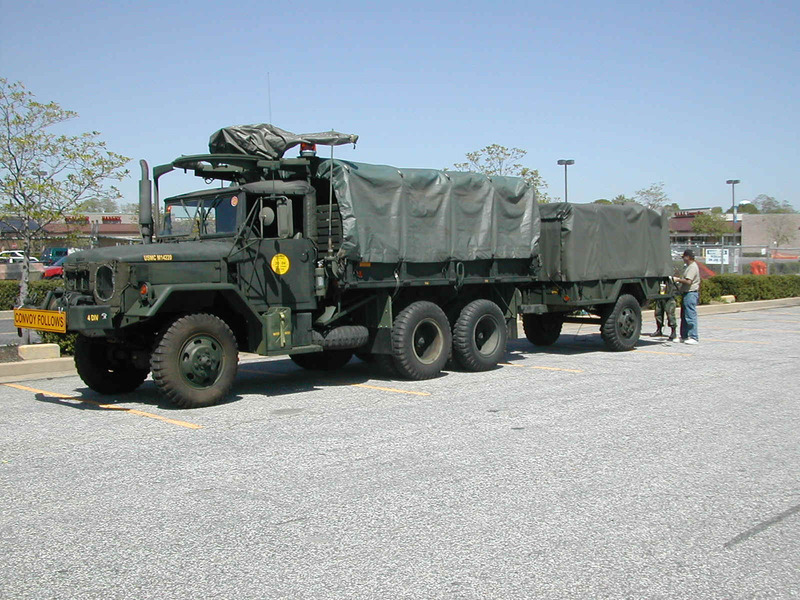 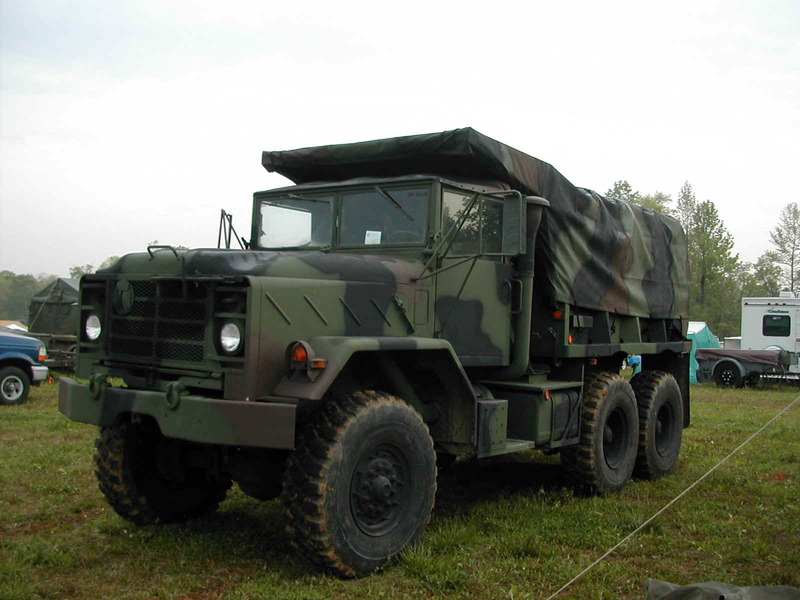 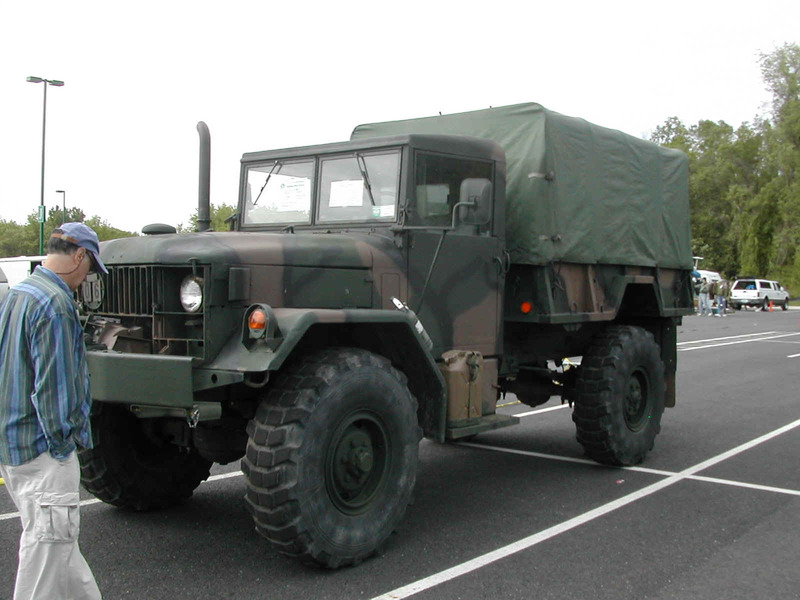 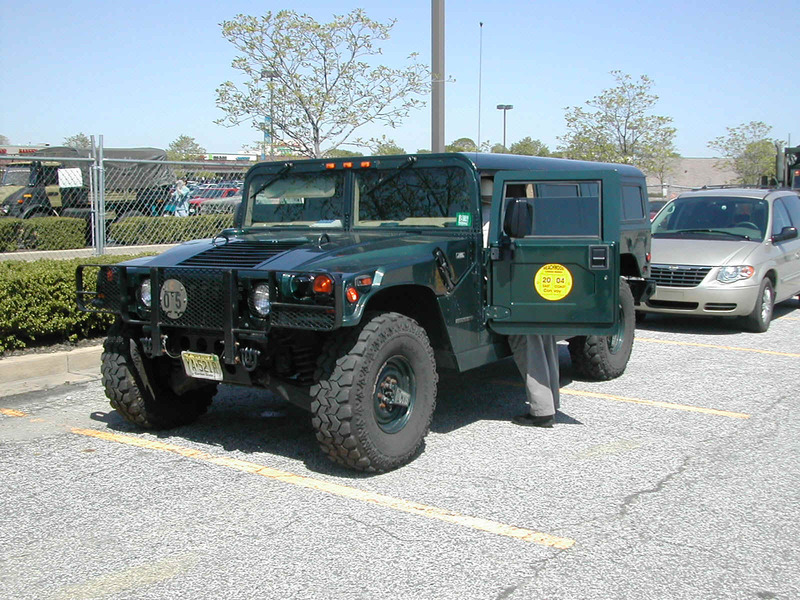 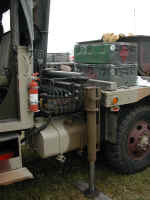 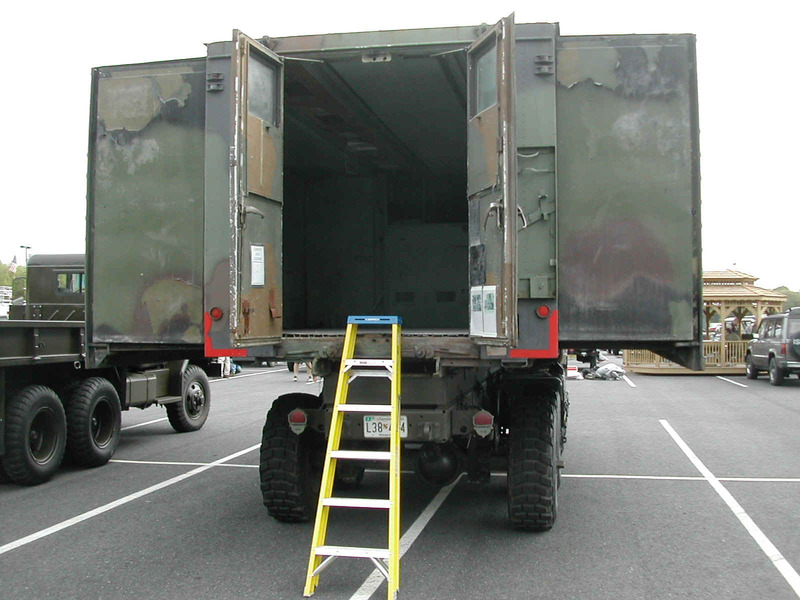 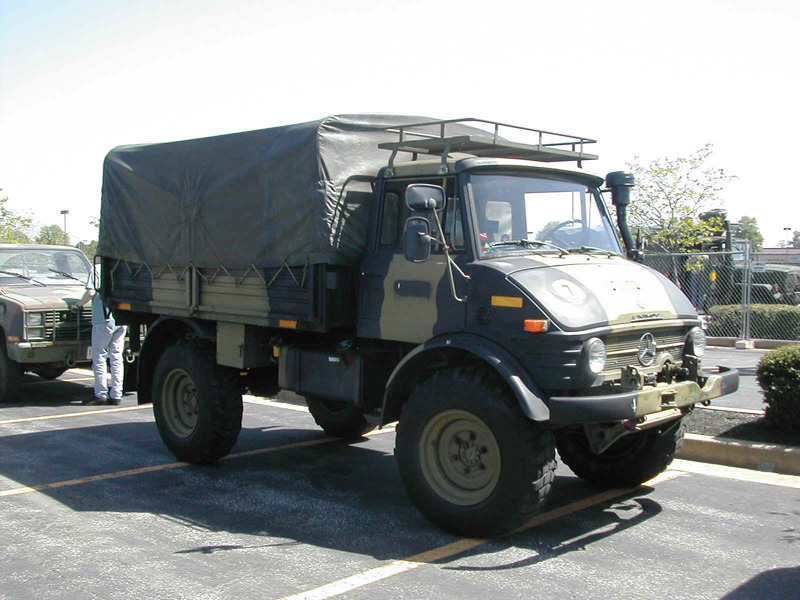 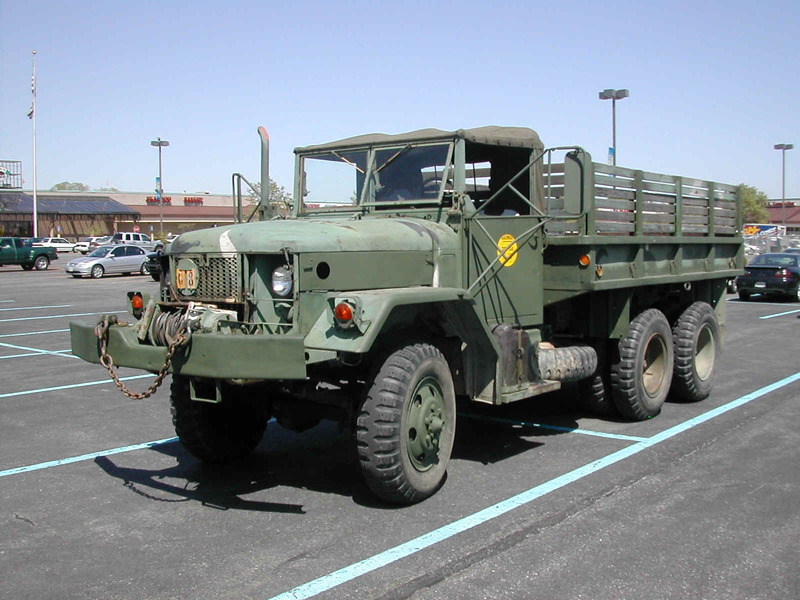 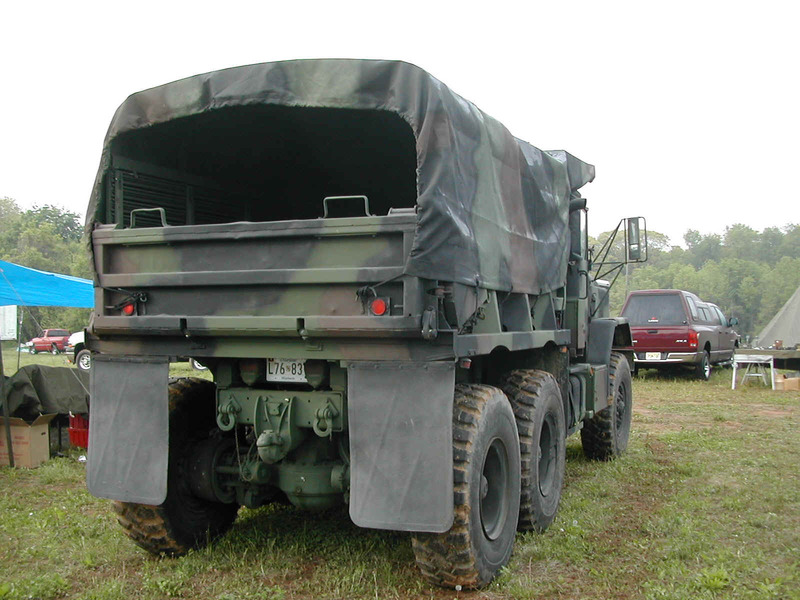 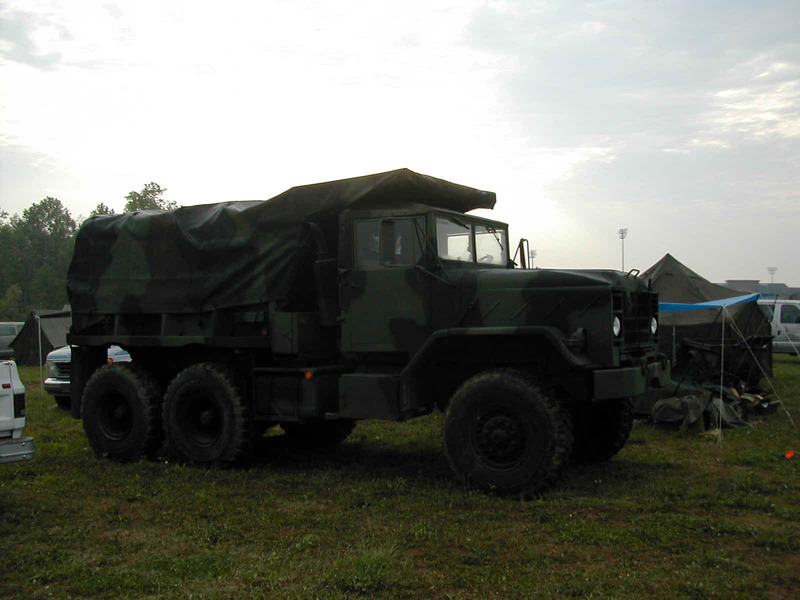 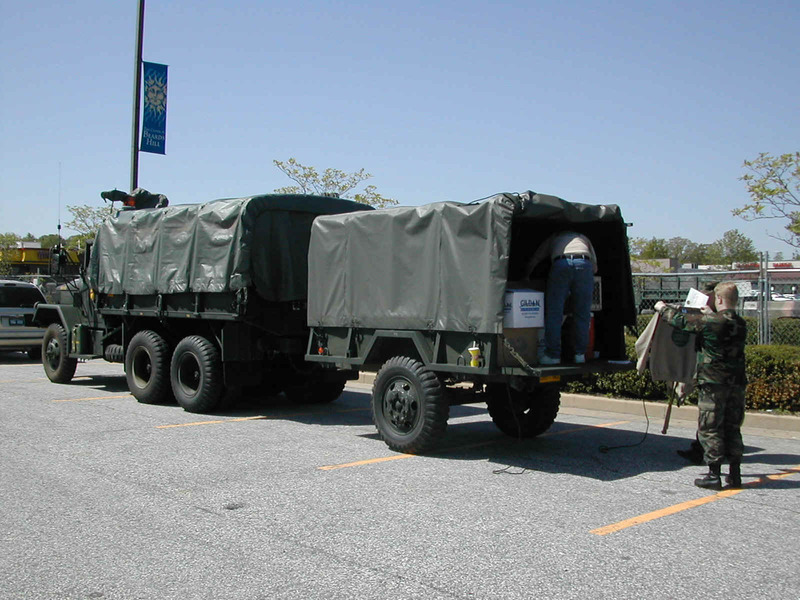 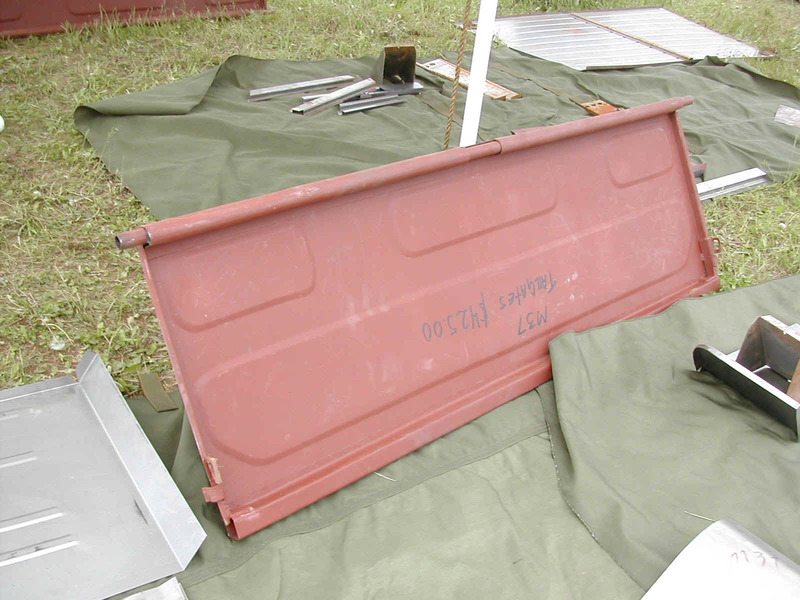 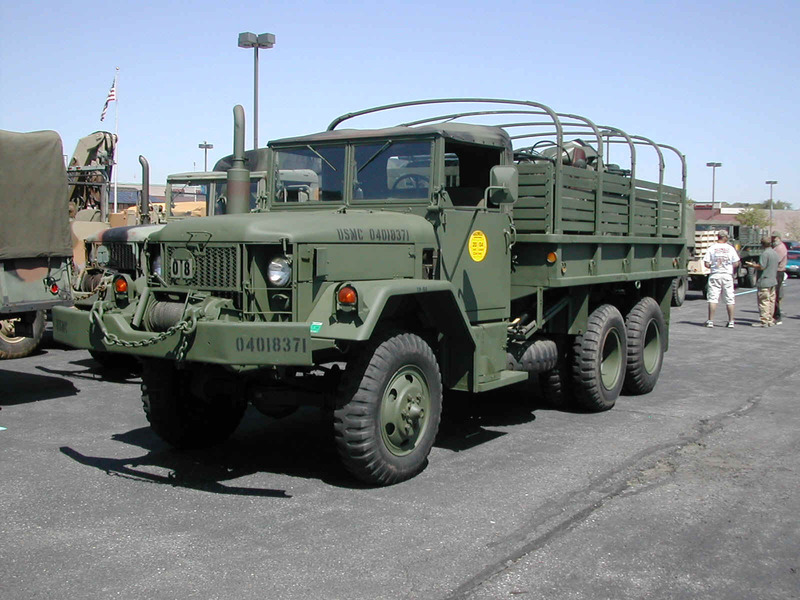 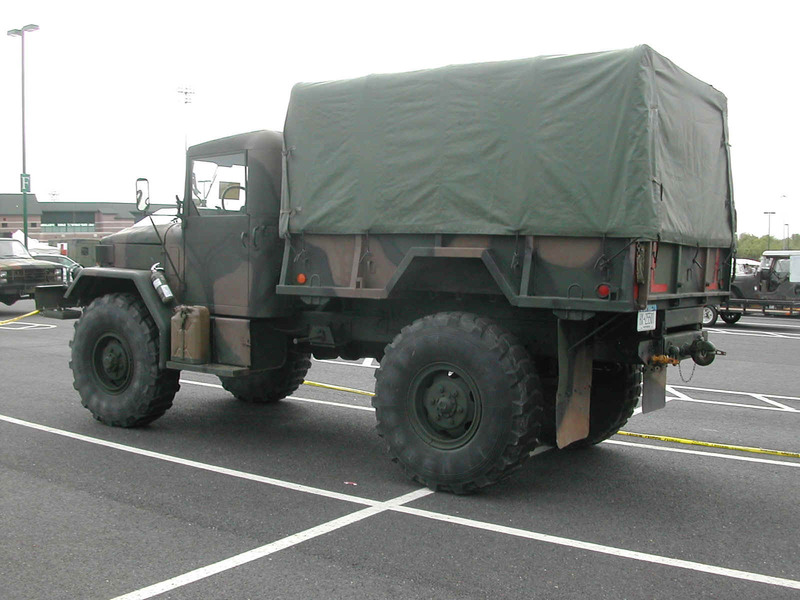 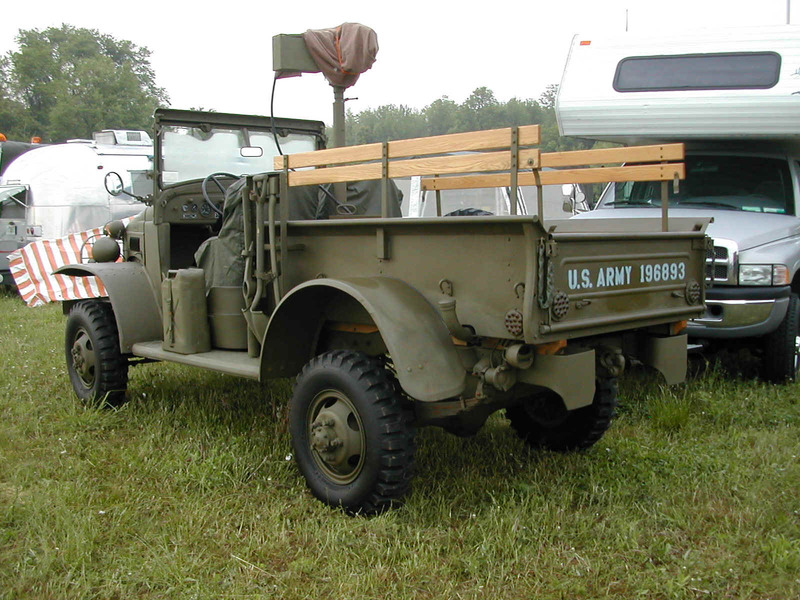 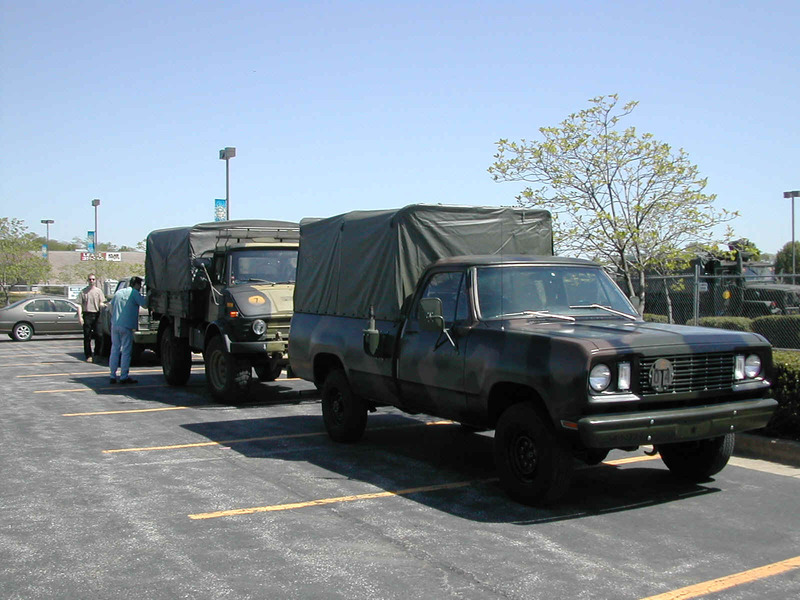 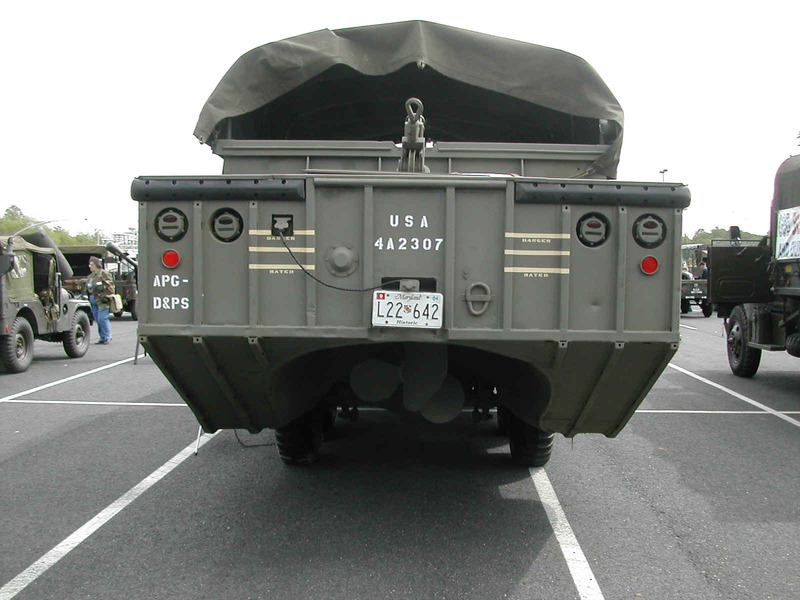 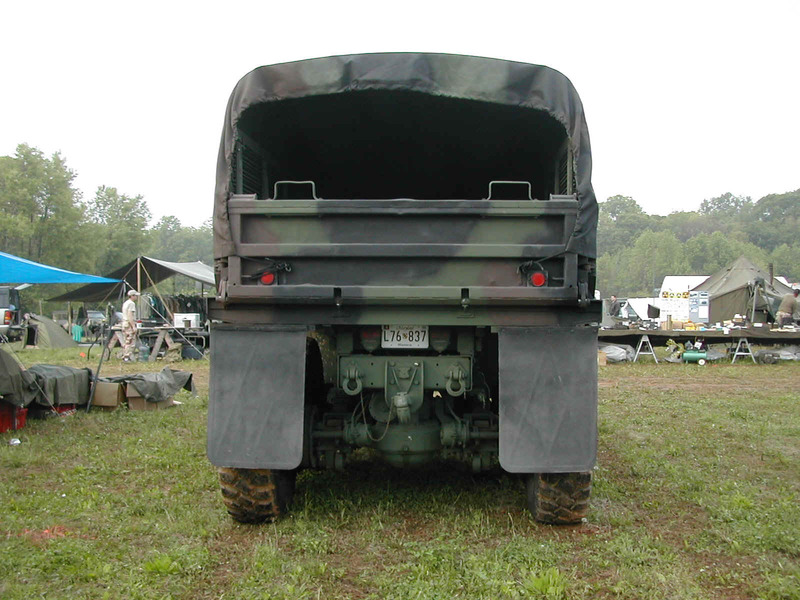 Truck utilizes a M105 cargo trailer bed in place of the stock bed. 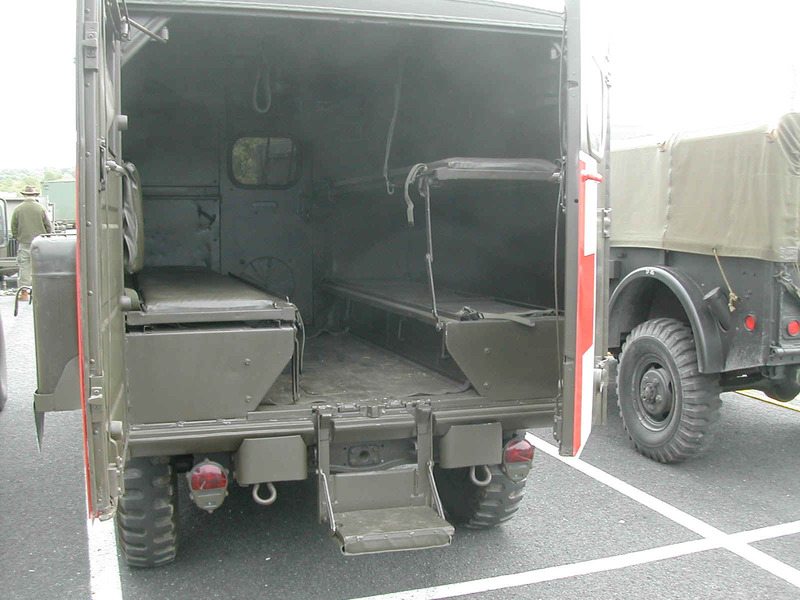 81, 82 M37 that belongs to Denis Mengele and a M43 ambulance that belongs to Peter Lee. 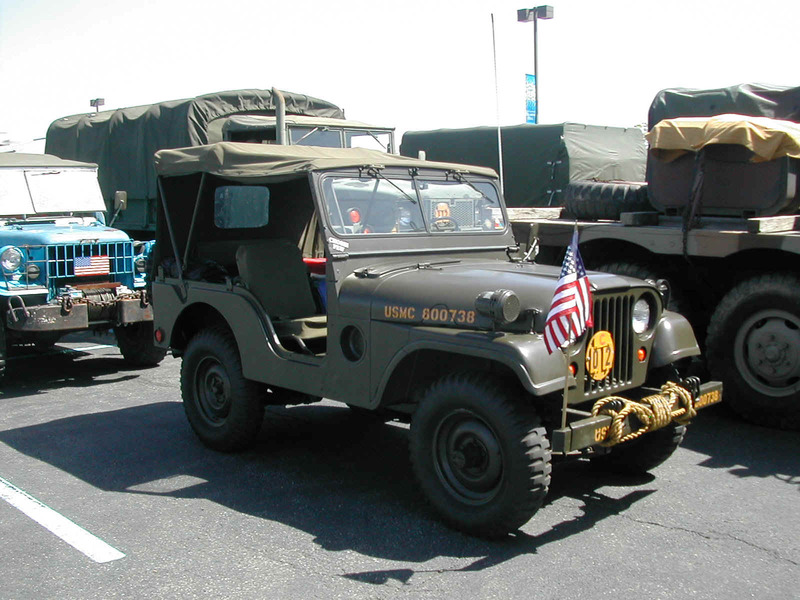 87 M43 that belongs to Peter Lee of the WACBGMVT, the host club for the rally. 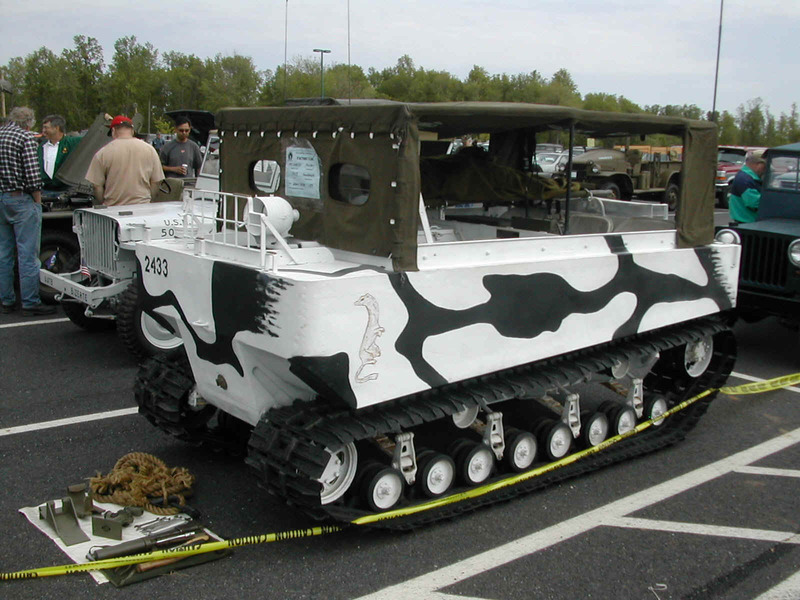 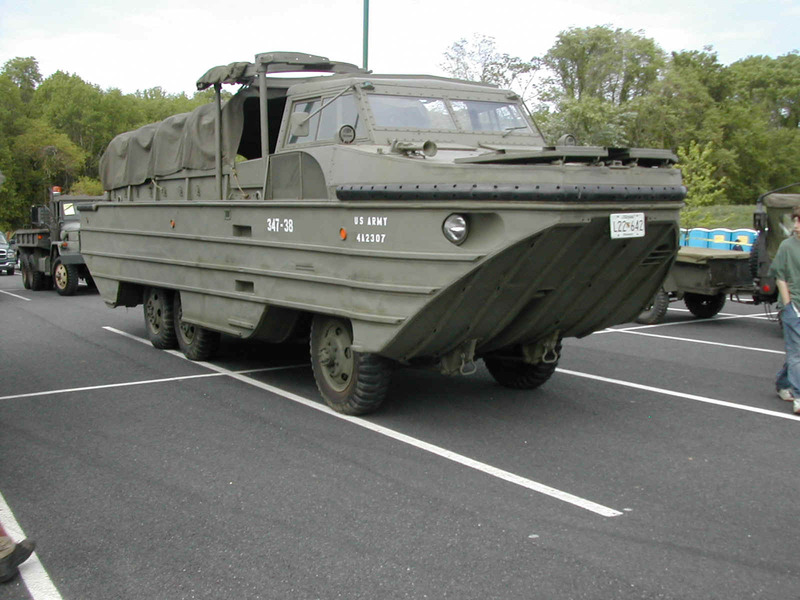 90, 91 DUKW that belongs to Tom Buonaugurio, WACBGMVT member. 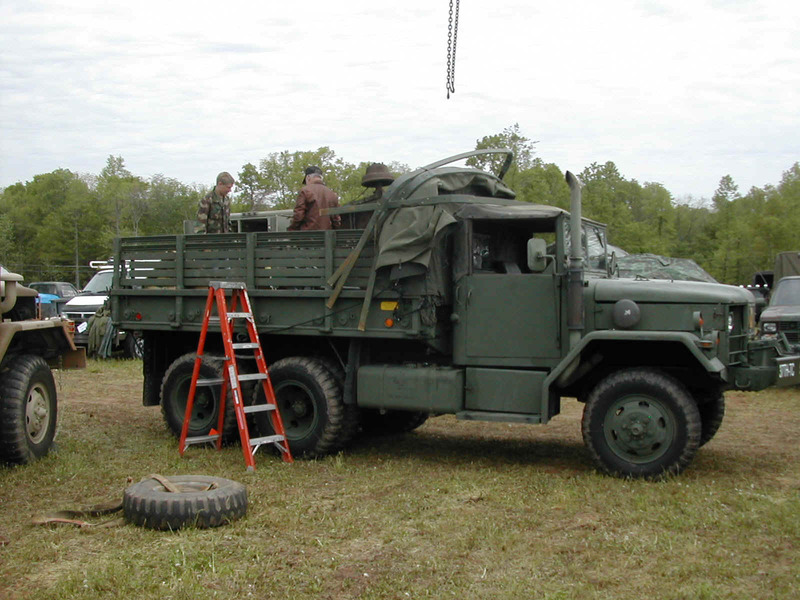 92-99 Bjorn Brandstedt's "super duece" being used to set a trailer into the back of Sonny's M35. 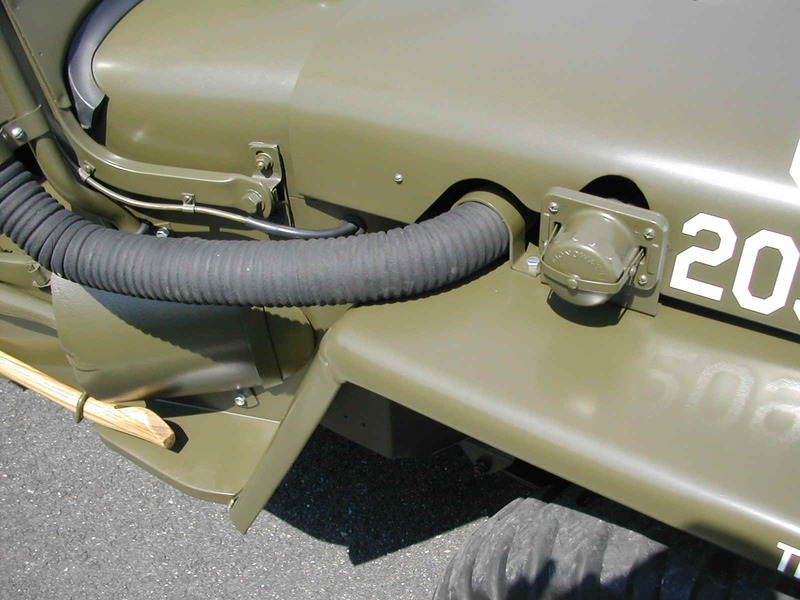 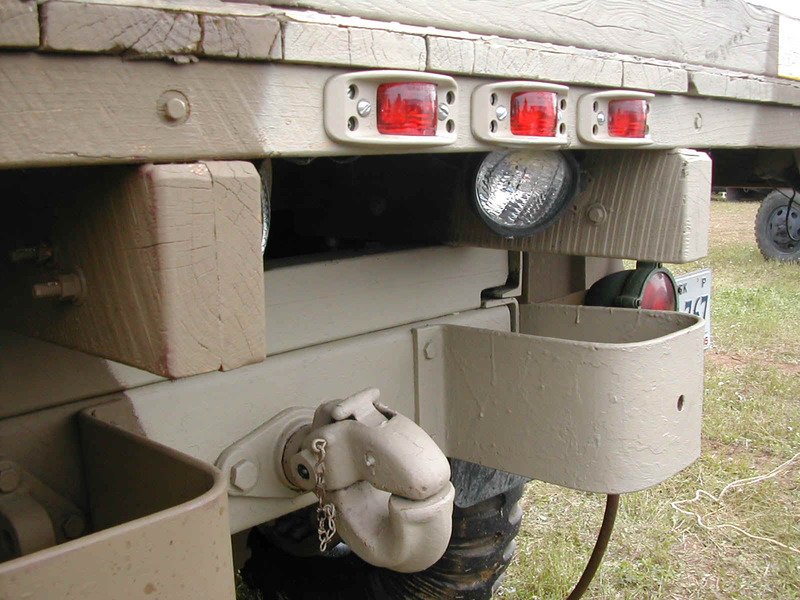 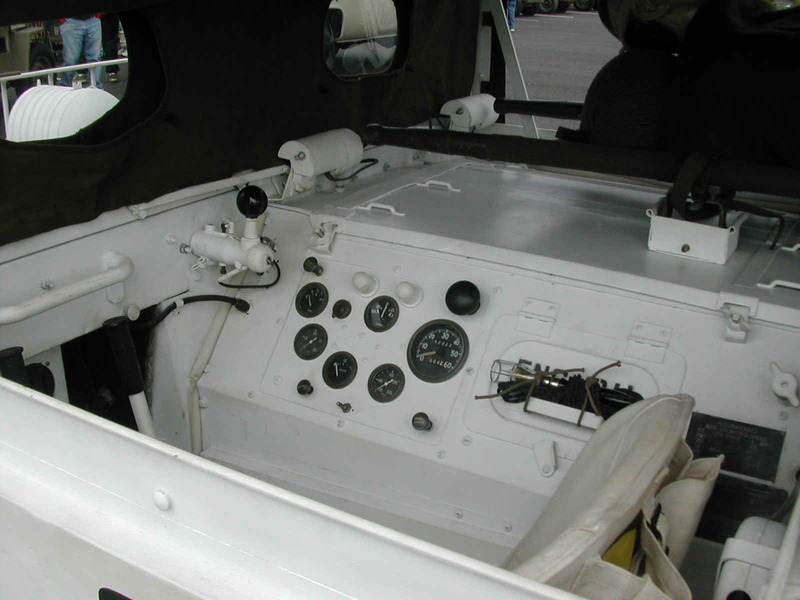 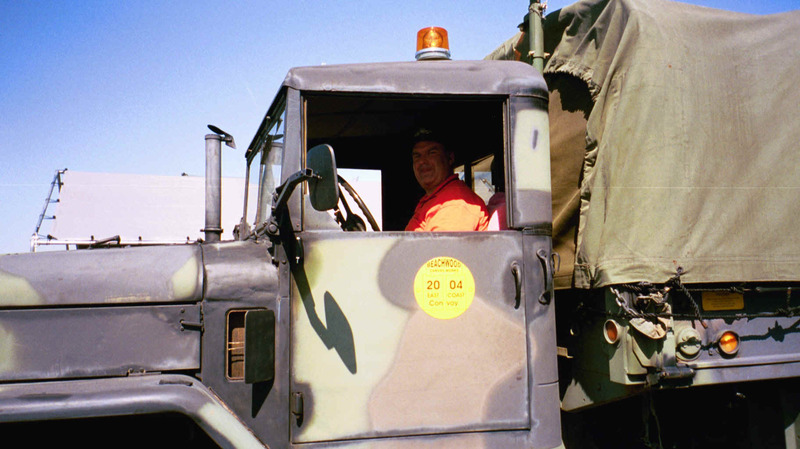 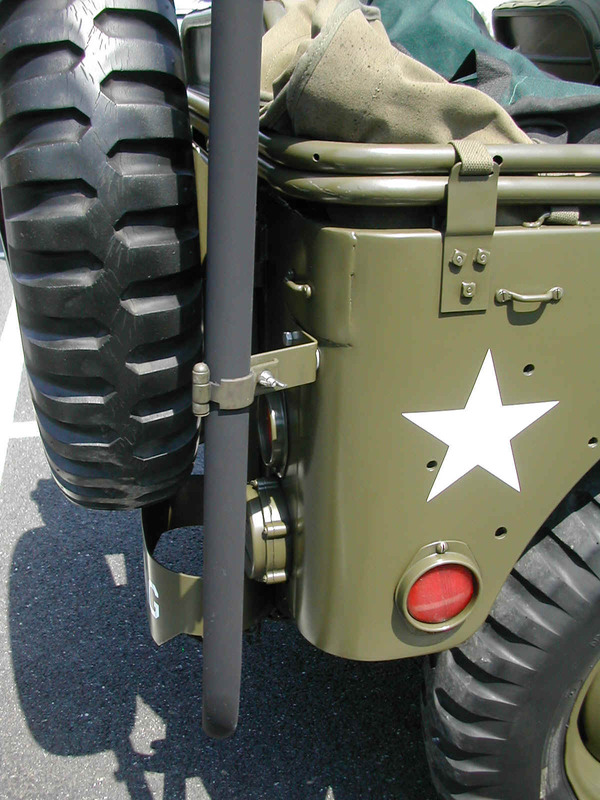 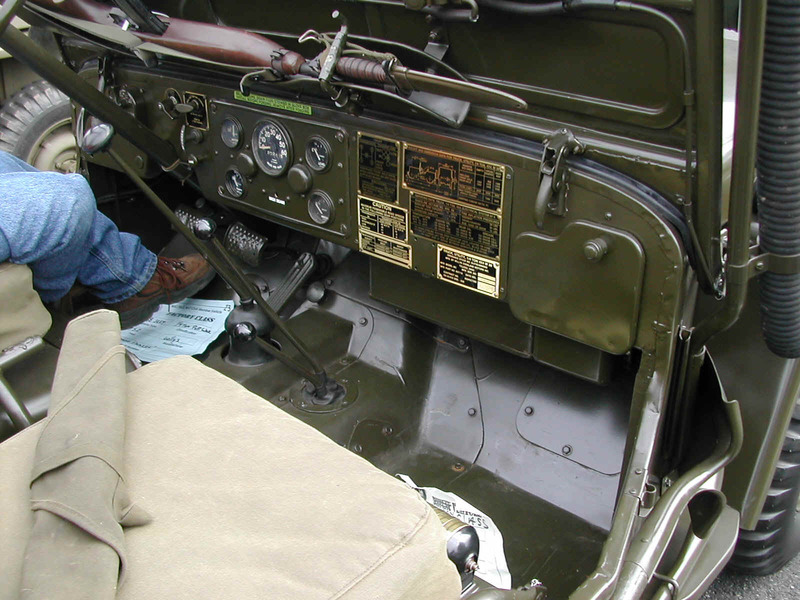 Bjorn's truck was a M49 gas tanker until he drove it home from North Carolina, removed the tank, installed the flatbed and the knuckleboom, and started to upgrade and enhance it... Photo 96 shows detail of added DOT lighting and back up lights. 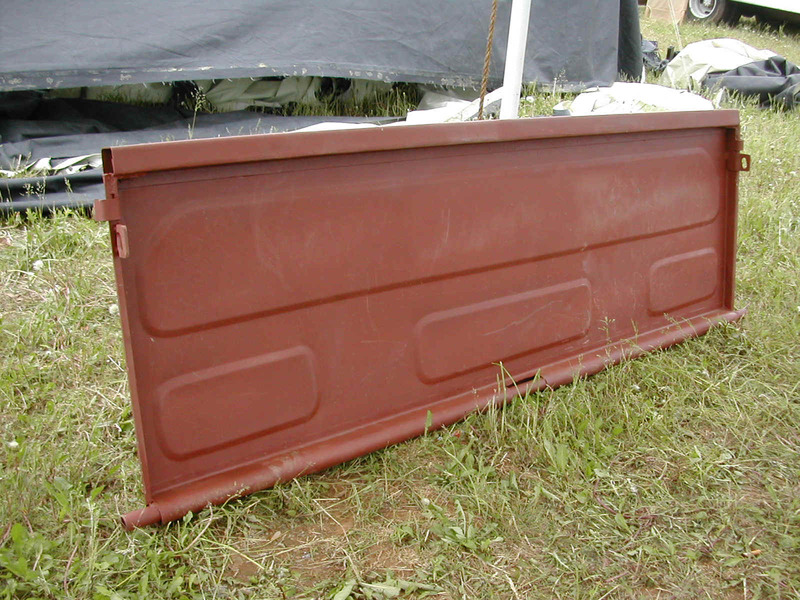 100-104 Super nice reproduction M37 tailgates from Sheldon at JeepPanels Plus. 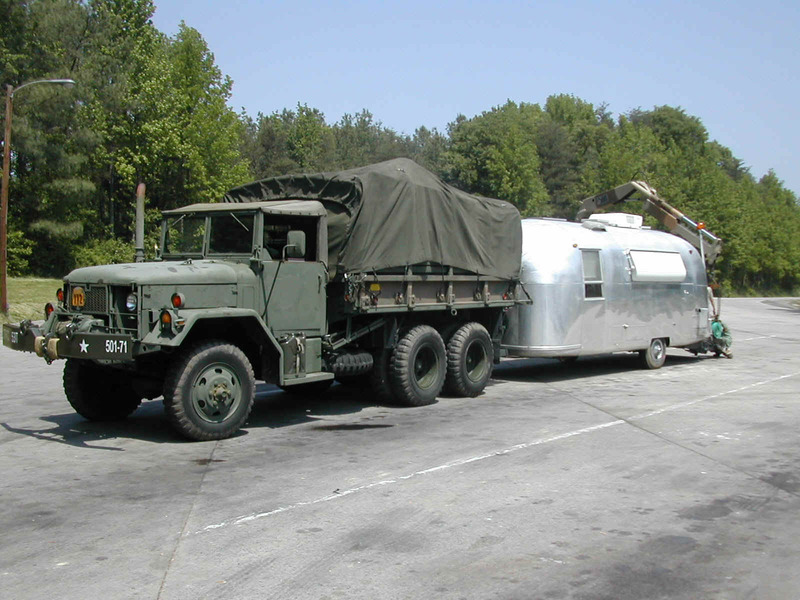 108 Sonny Heath's M35 with the Airstream trailer at the rest stop on I95 just north of Richmond, VA on his way home to Florida. 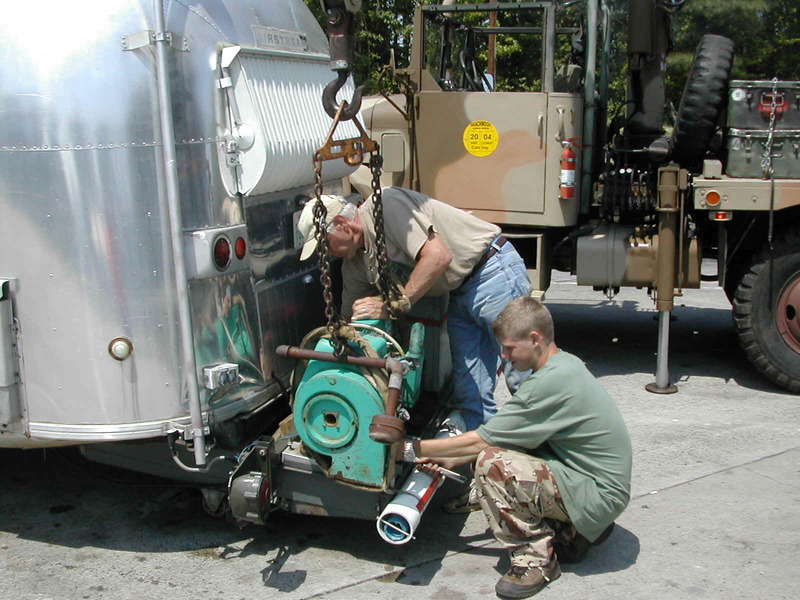 109, 110 Bjorn Brandstedt and his son Adrien work at removing the generator from Sonny's Airstream just north of Richmond, VA on the way home. 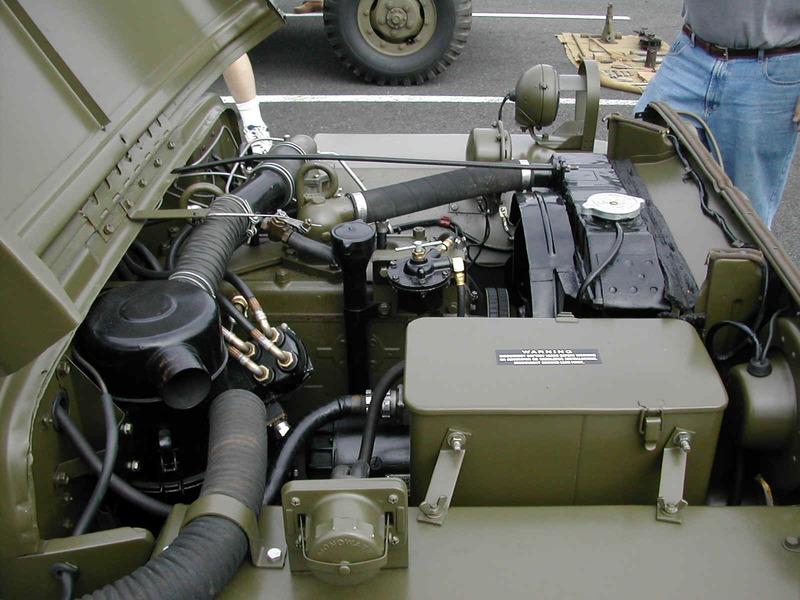 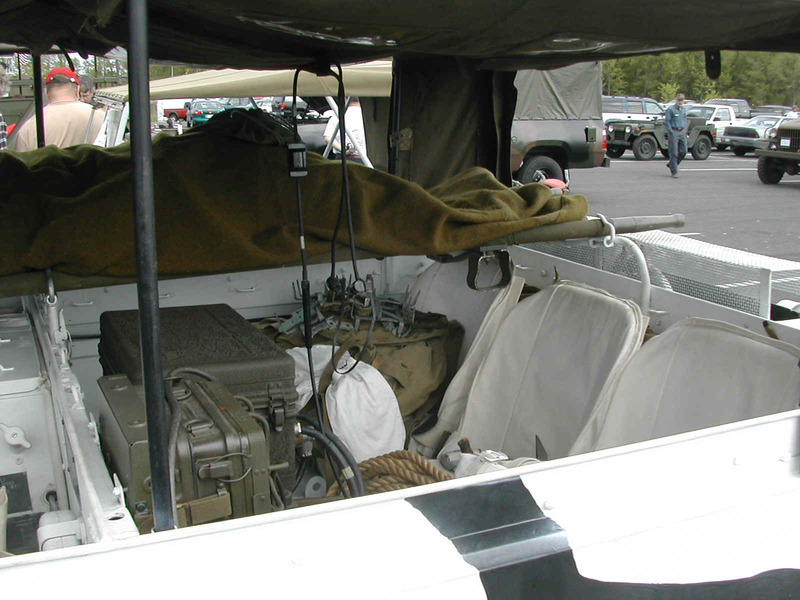 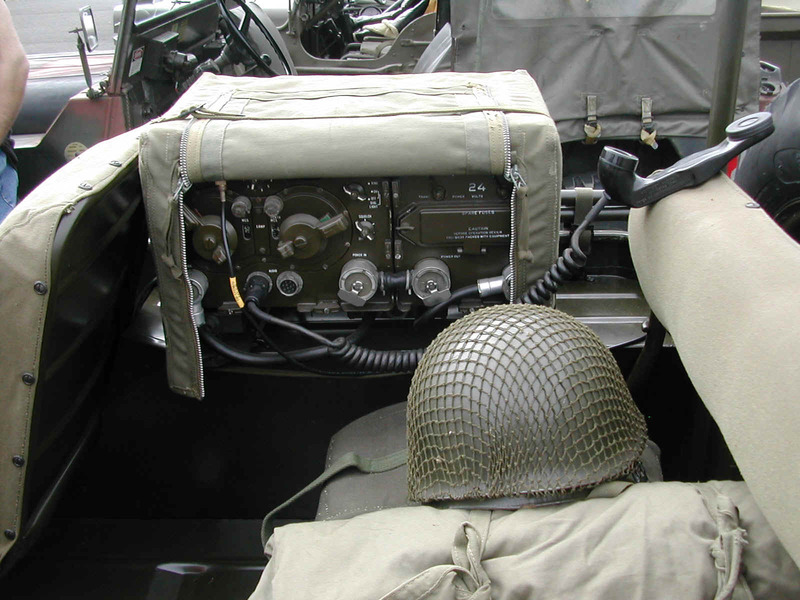 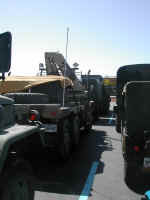 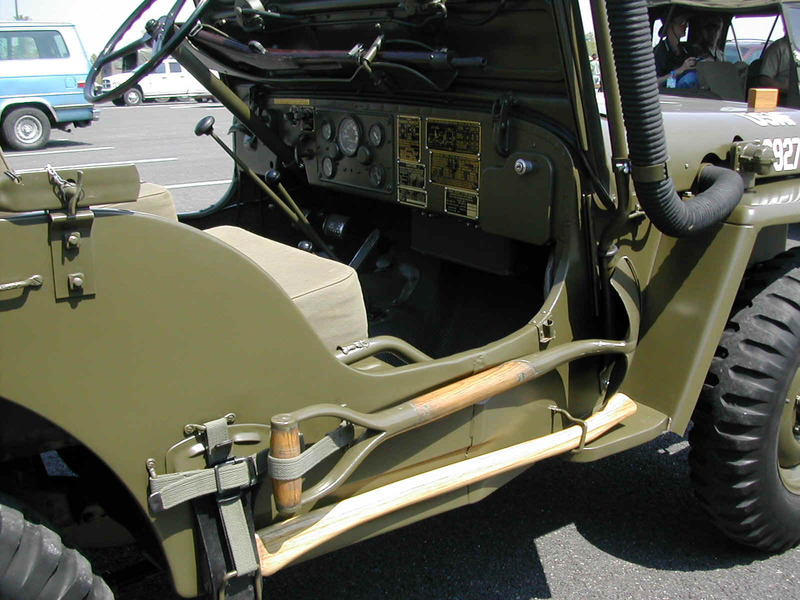 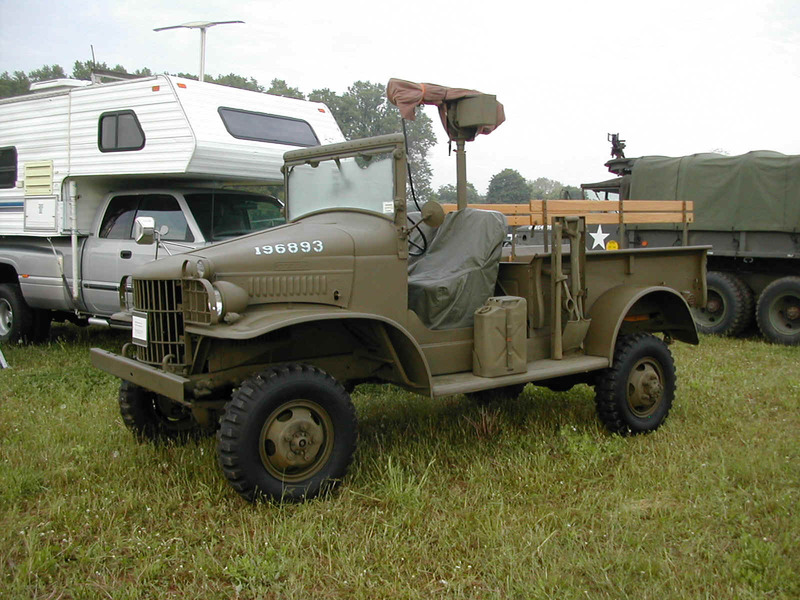 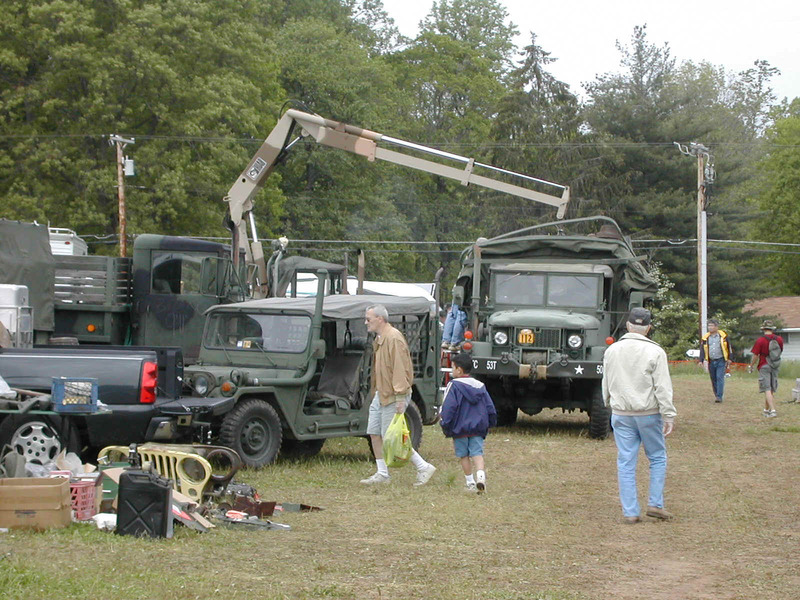 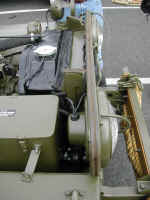 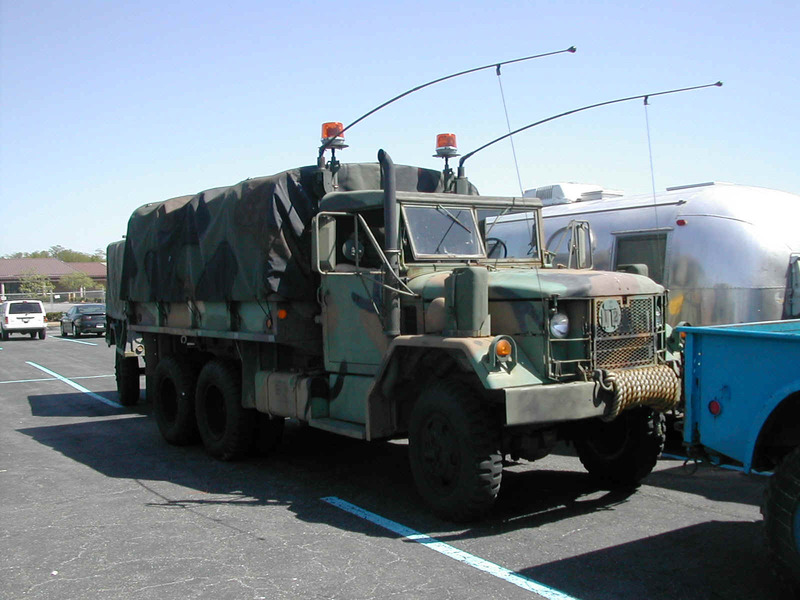 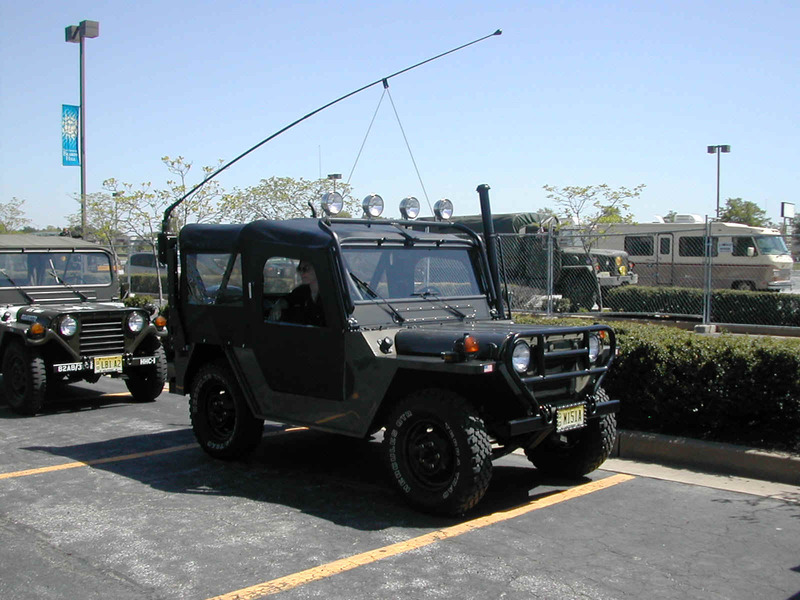 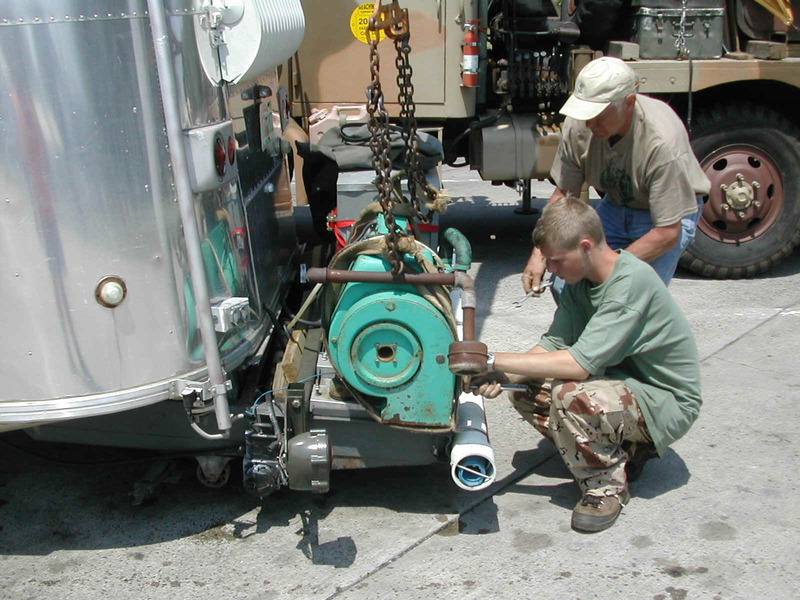 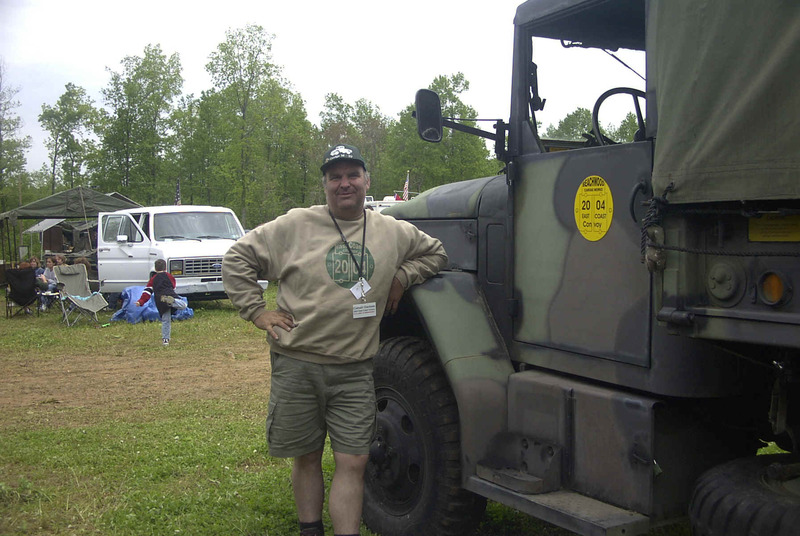 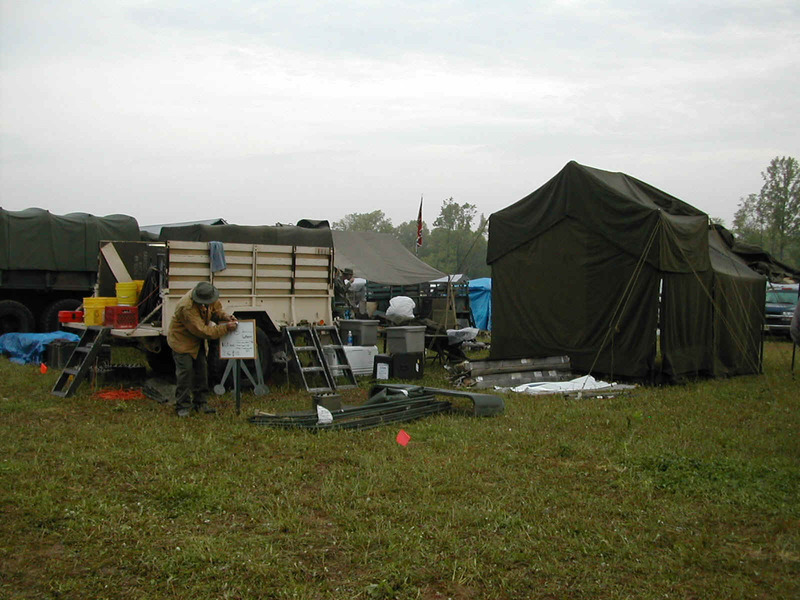 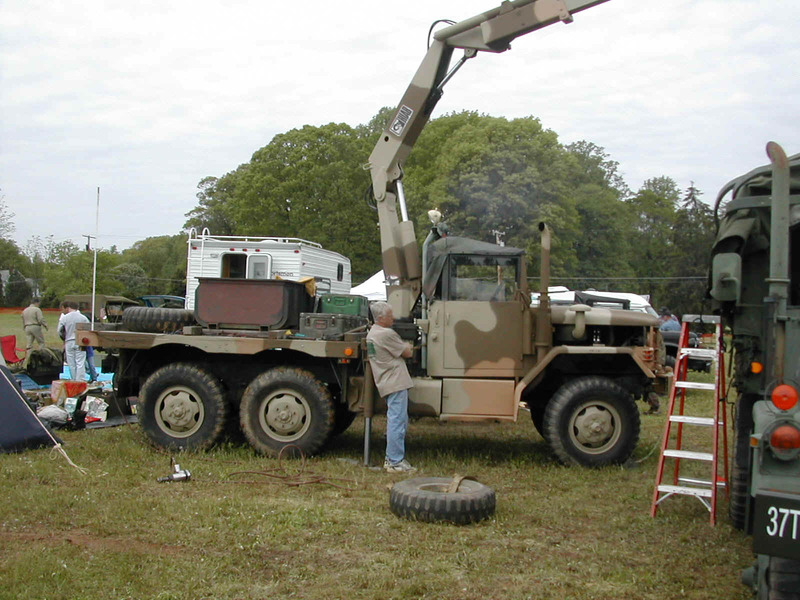 The frame extension holding the generator started to give way, so the generator was relocated to the back of Sonny's M35A2 for the rest of his trip home to Florida.